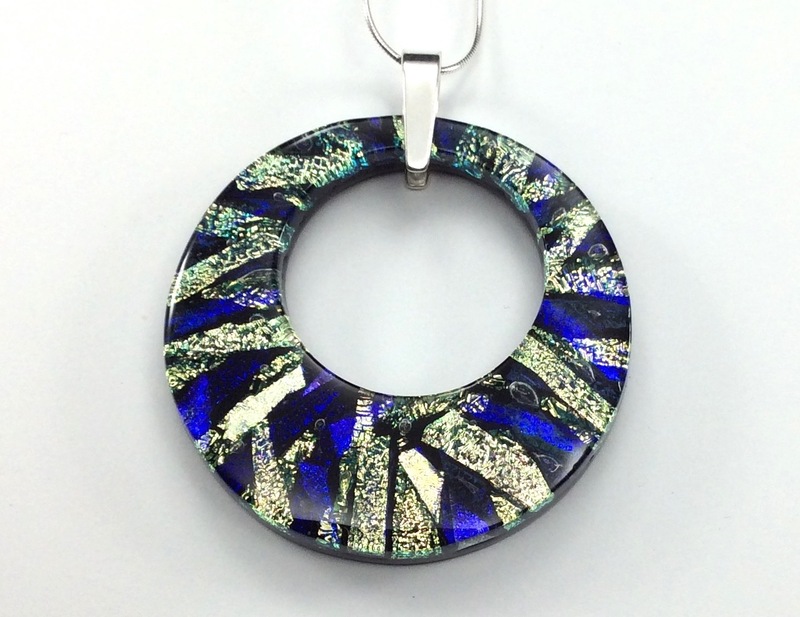 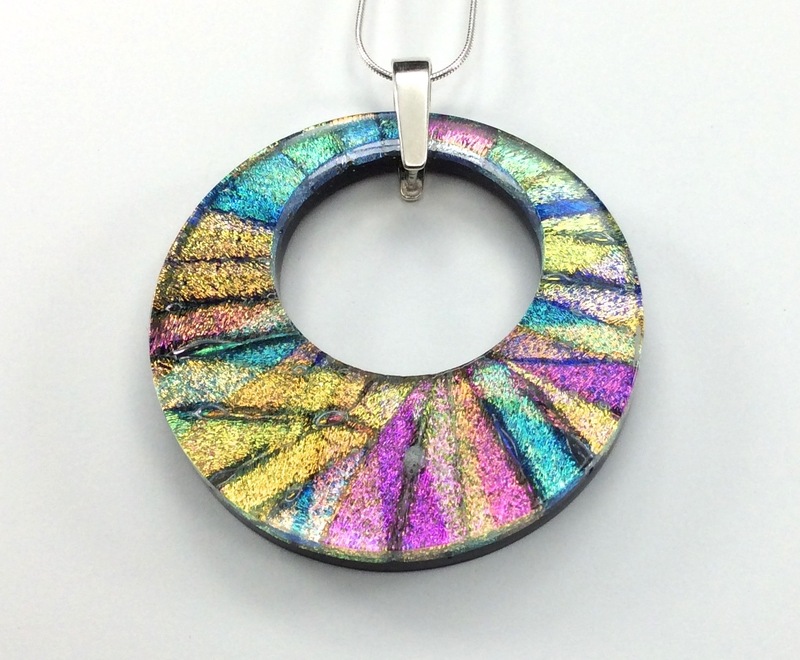 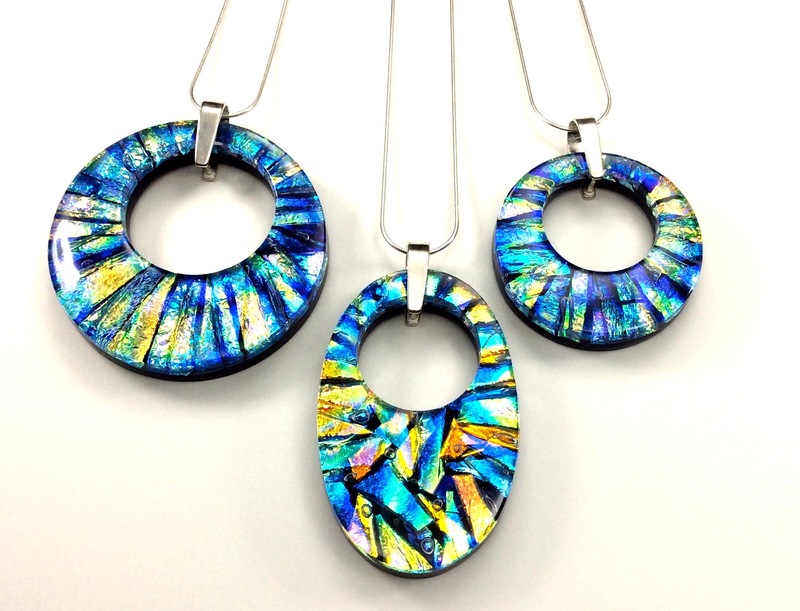 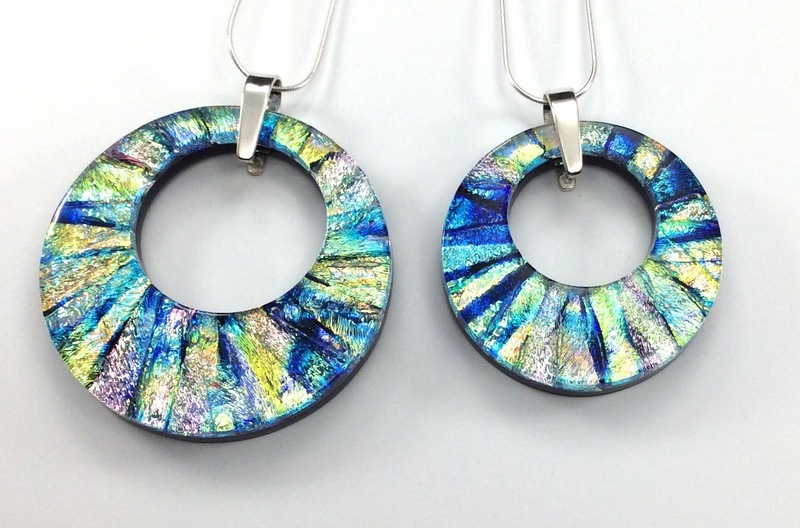 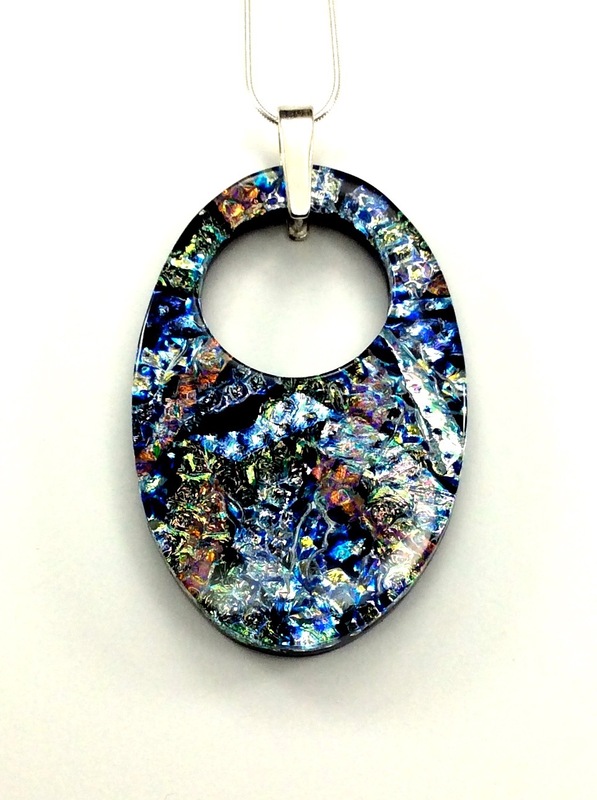 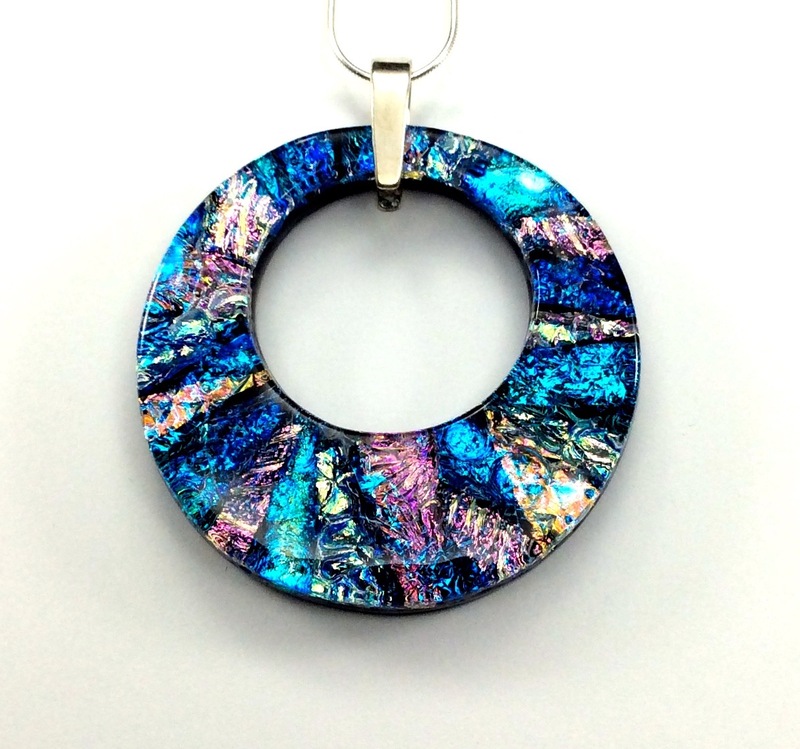 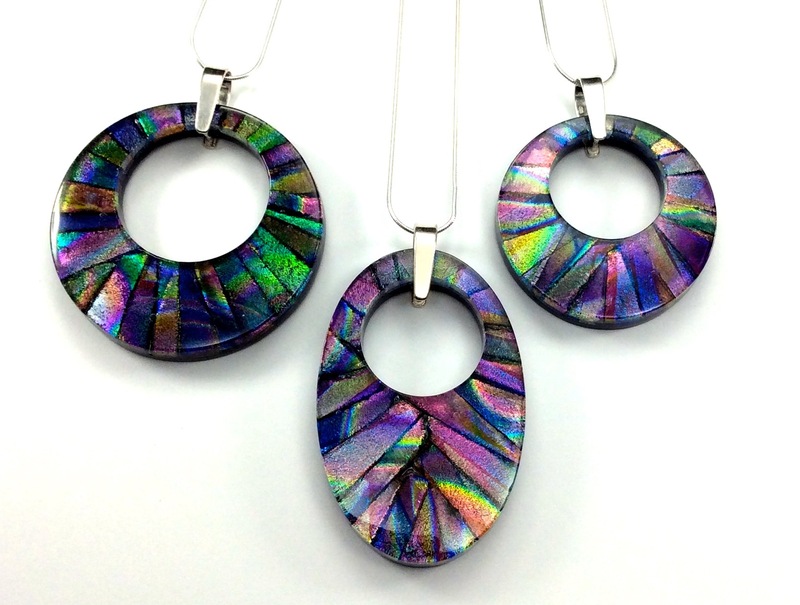 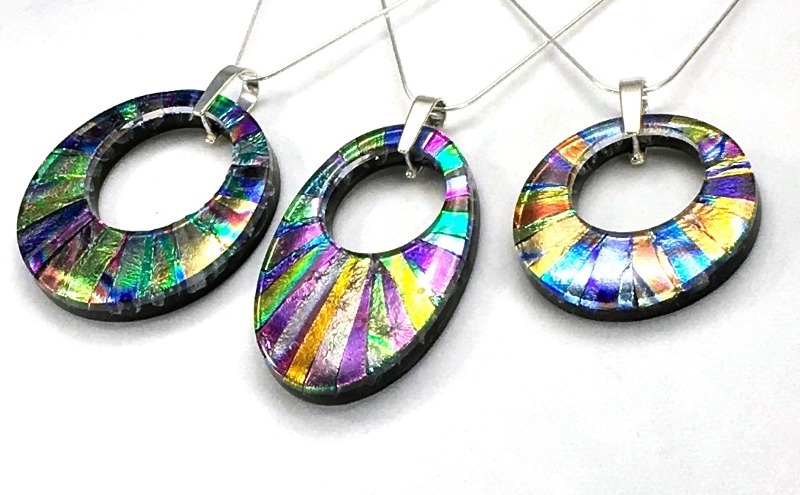 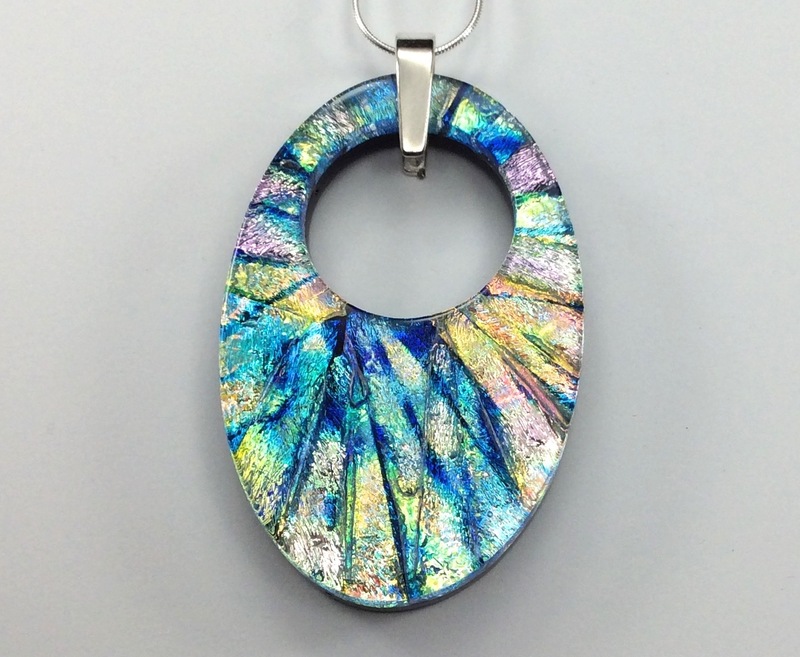 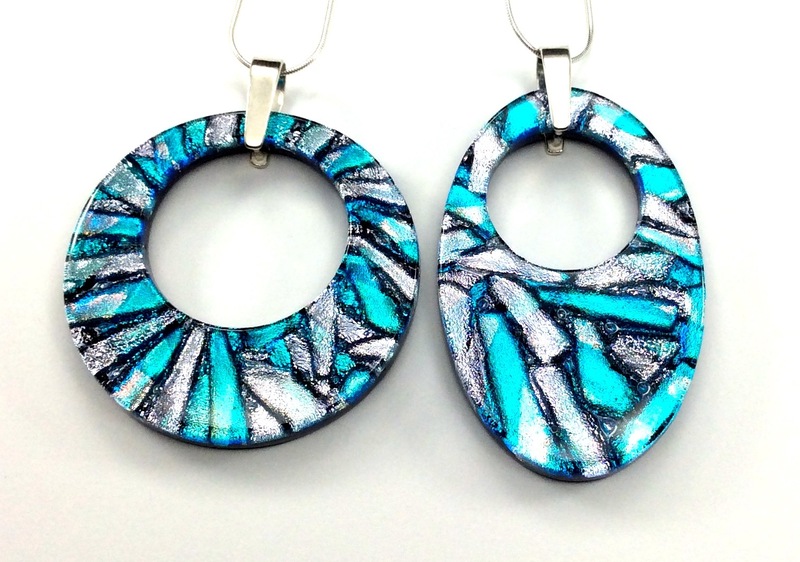 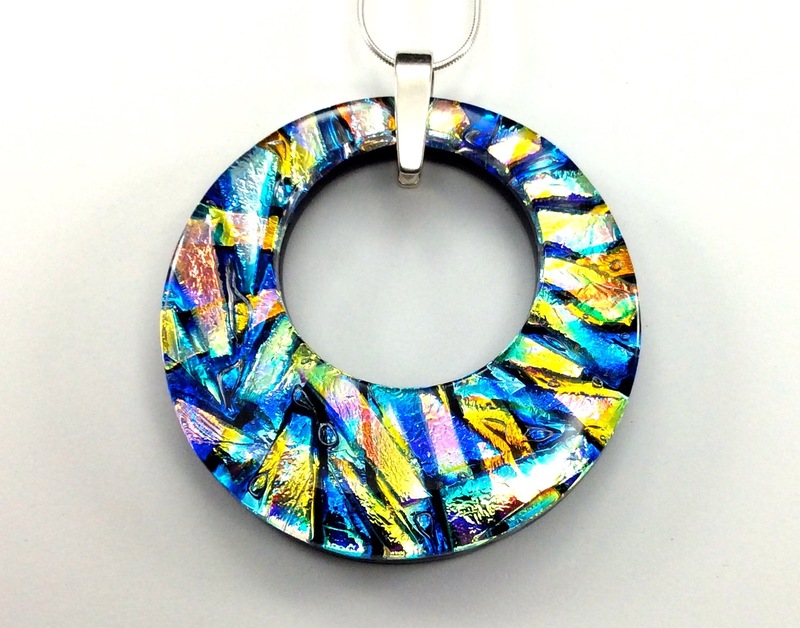 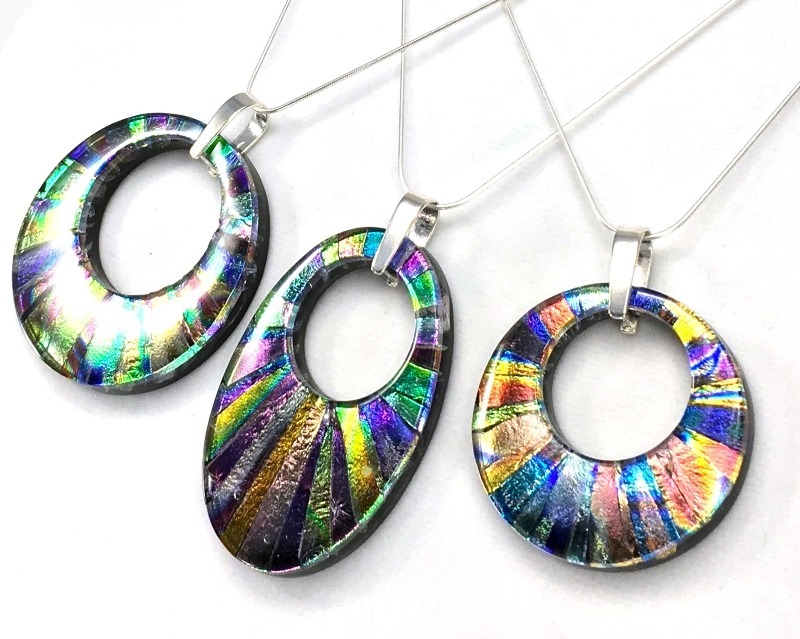 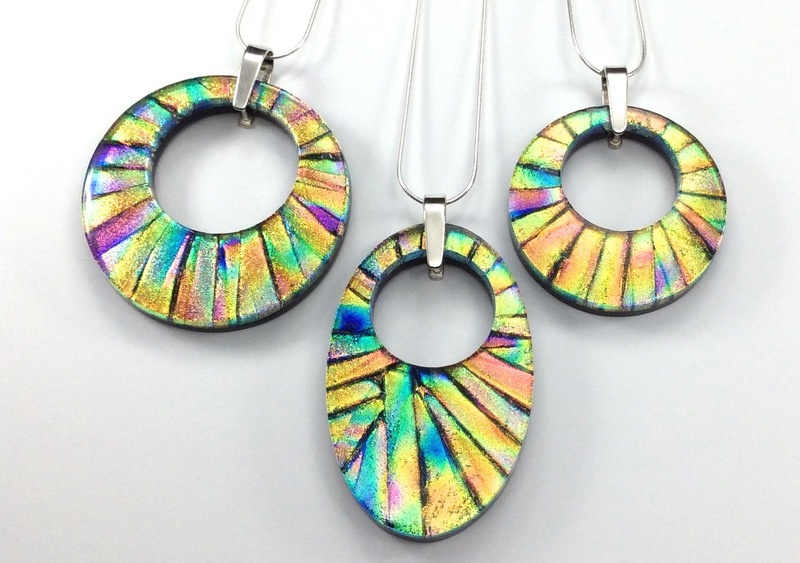 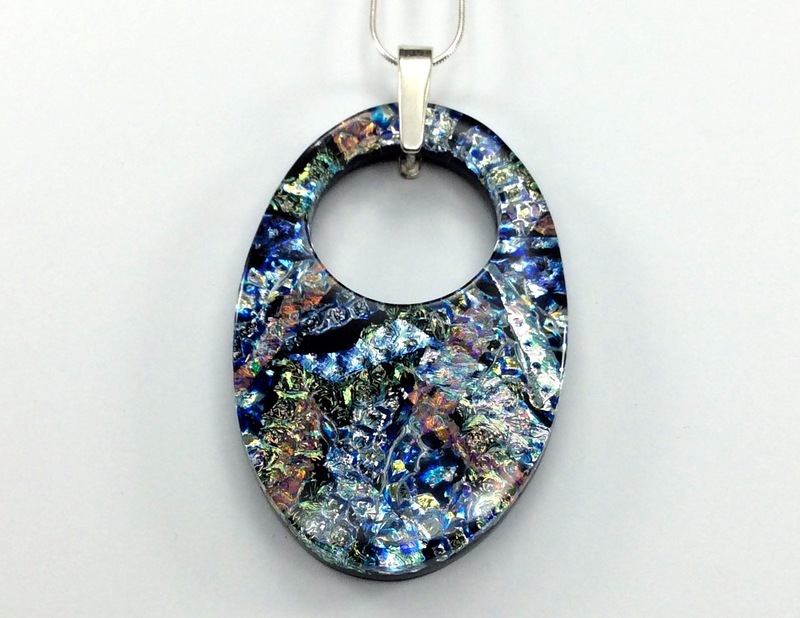 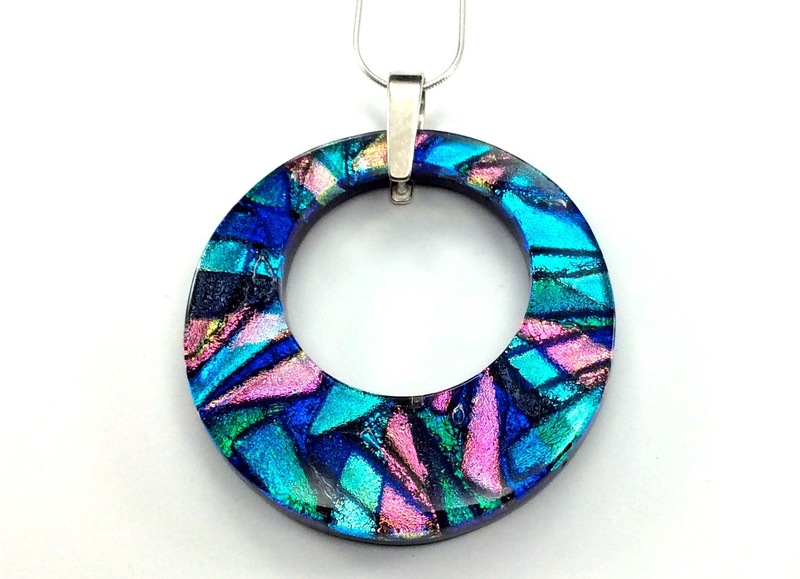 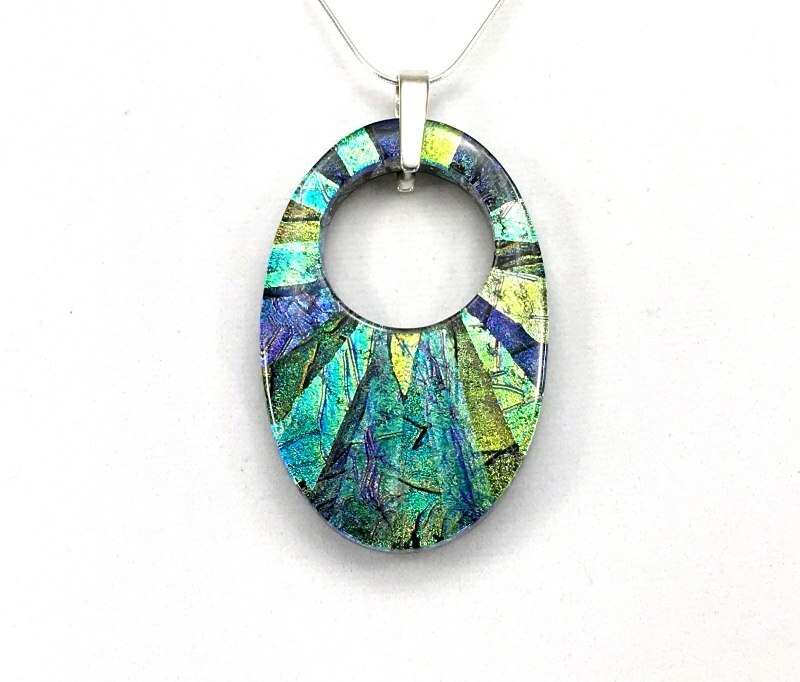 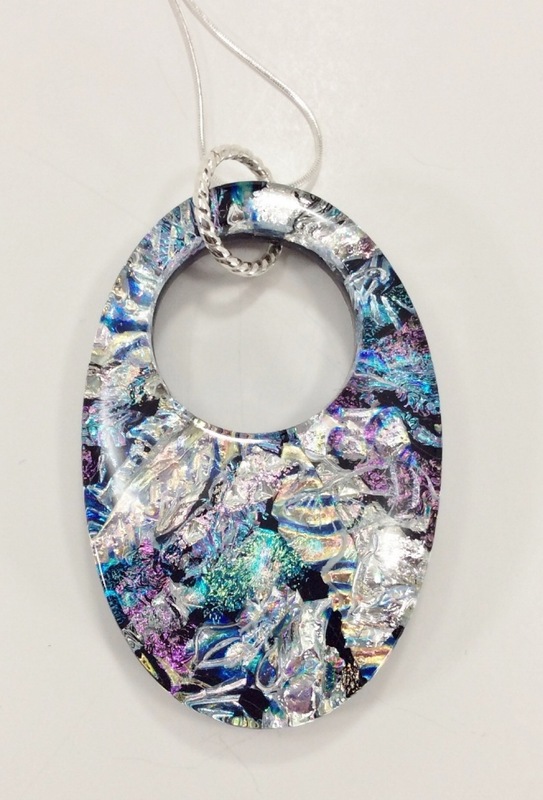 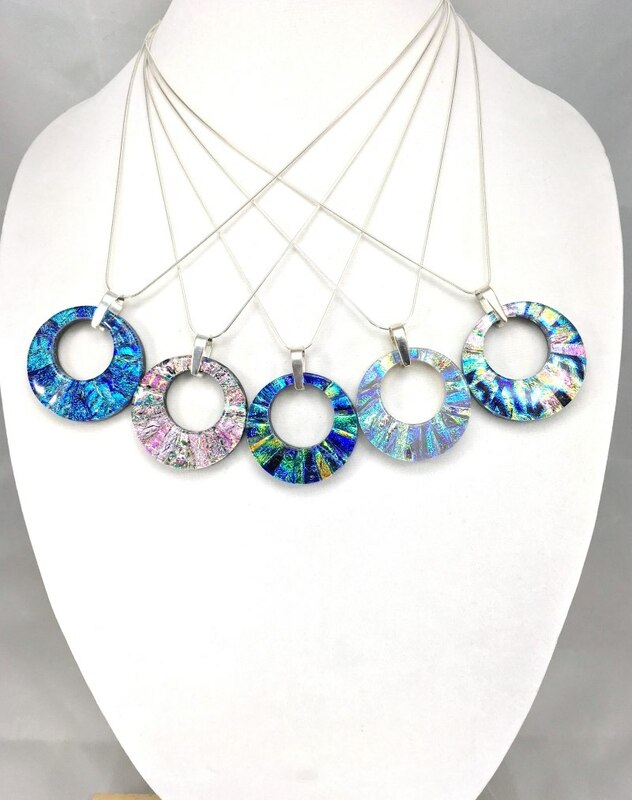 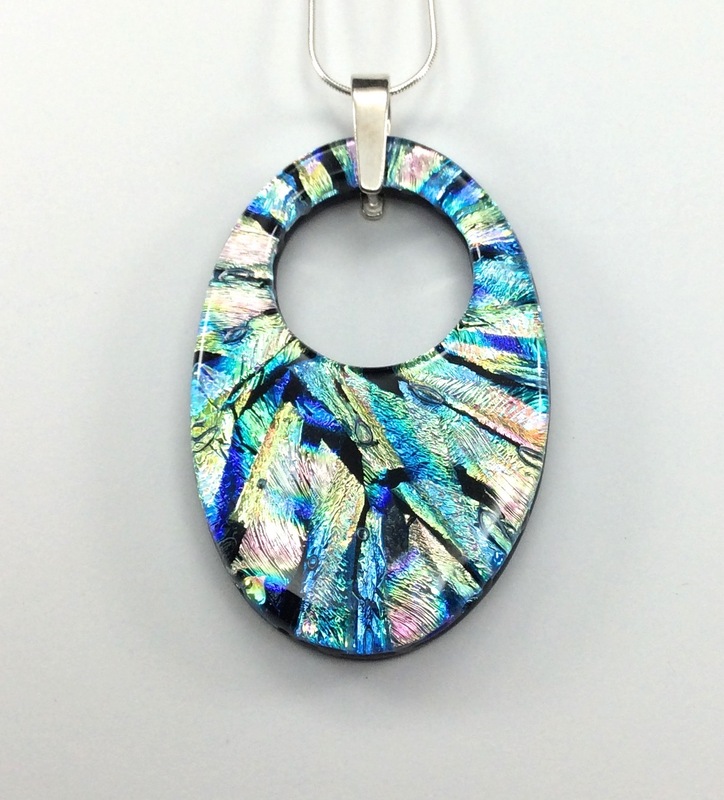 Created by piecing together and layering very small hand-cut pieces of dichroic glass. 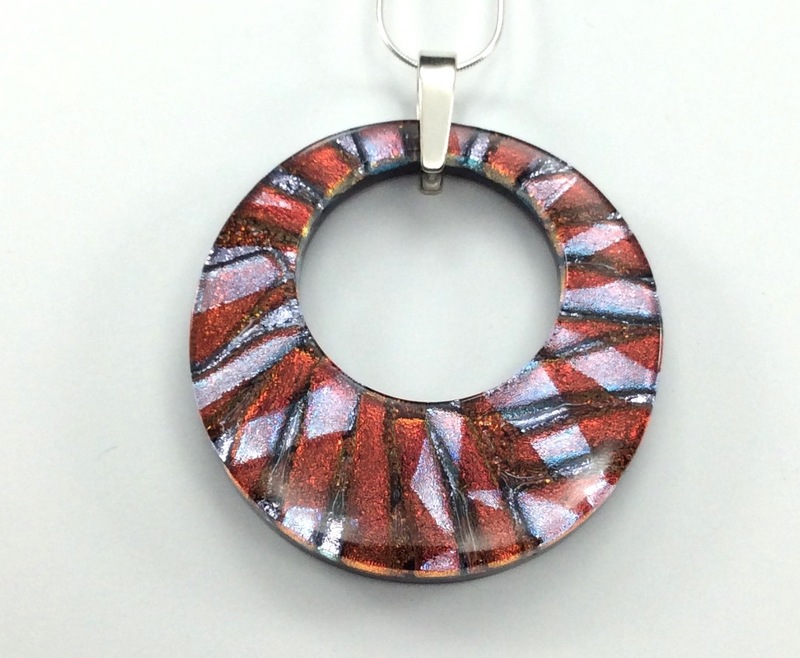 Each piece is kiln-fired then shaped and smoothed by hand and returned to the kiln to polish the glass and soften the edges. 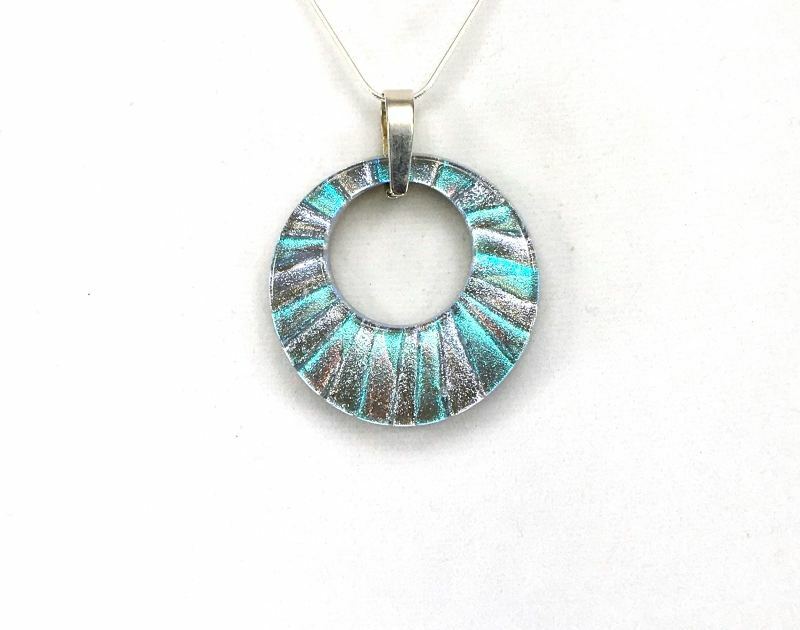 Round Mosaic Donuts are finished with a sterling silver bail. 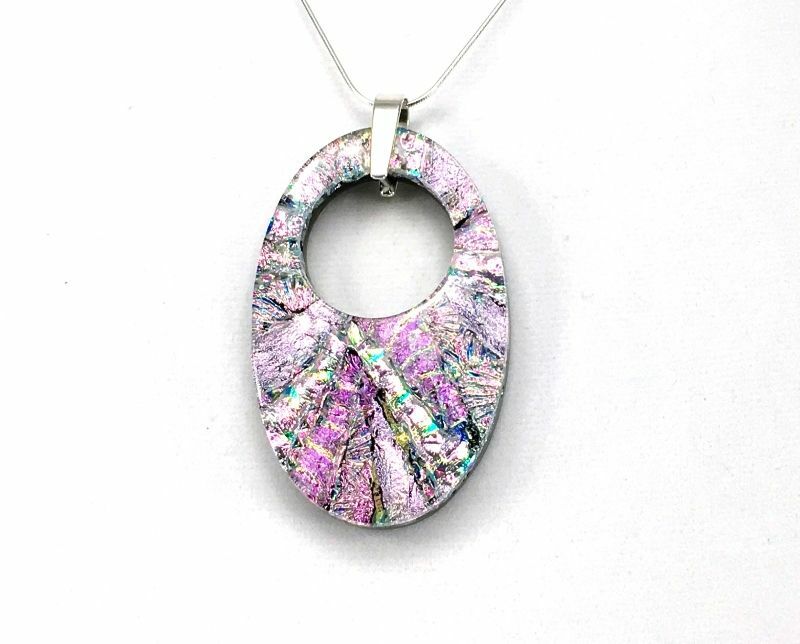 20″ Sterling silver chain included. 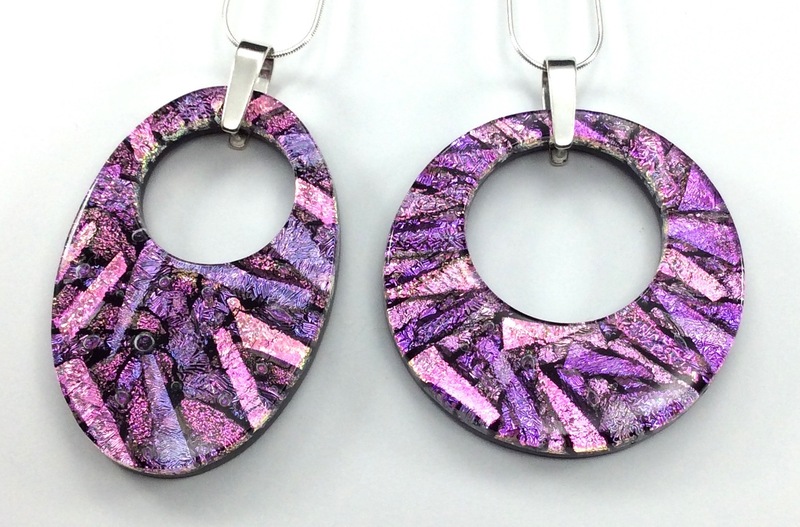 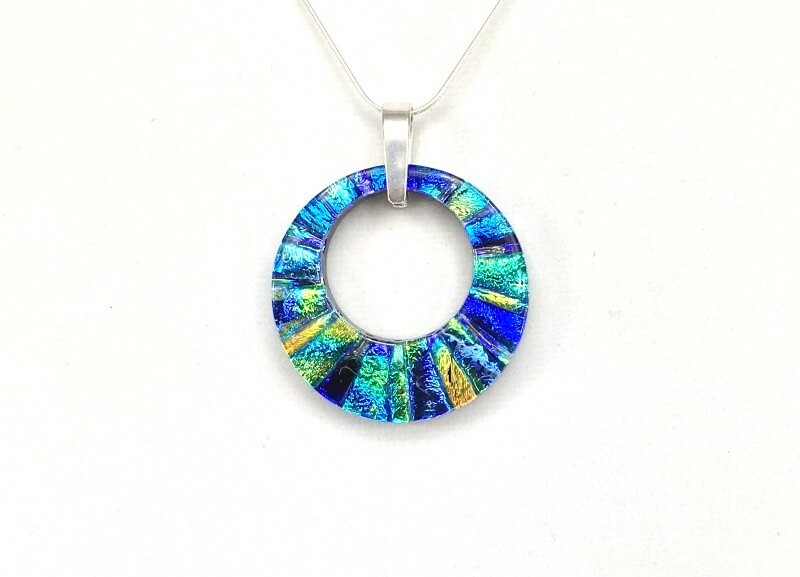 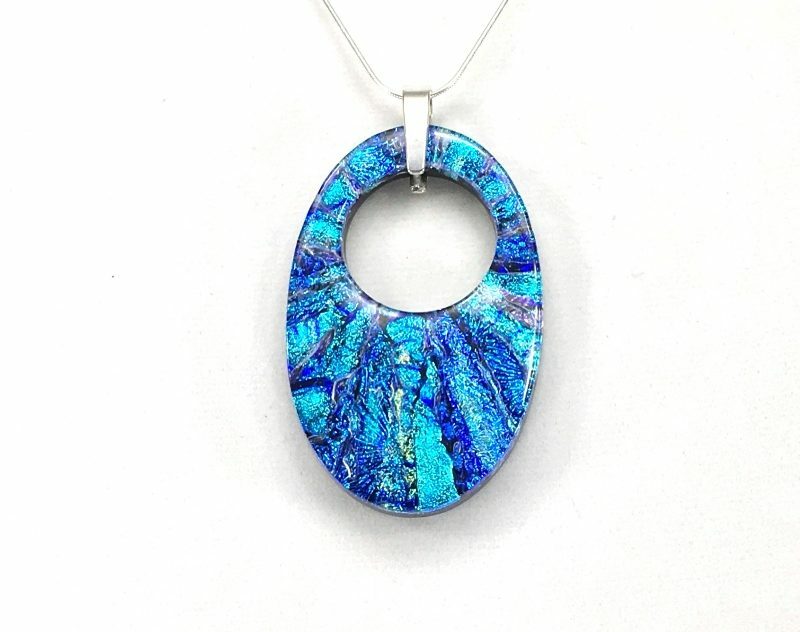 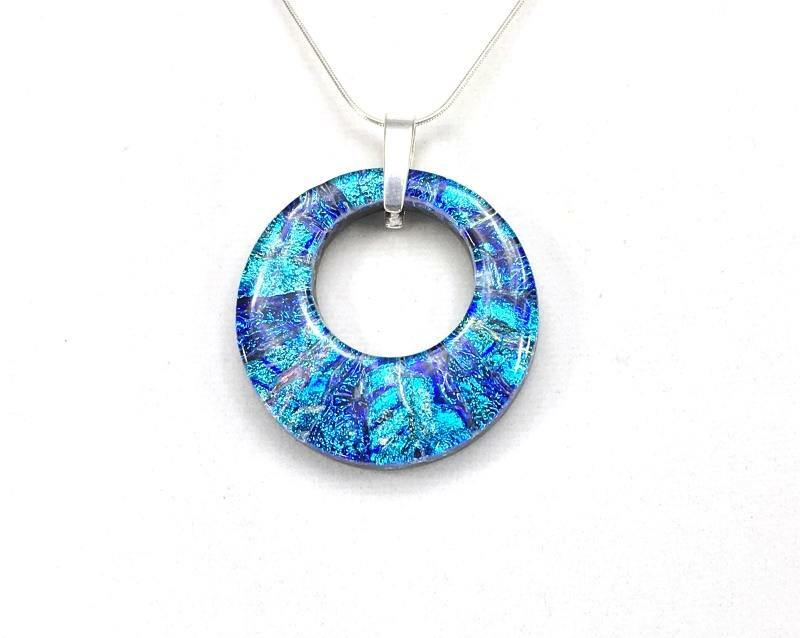 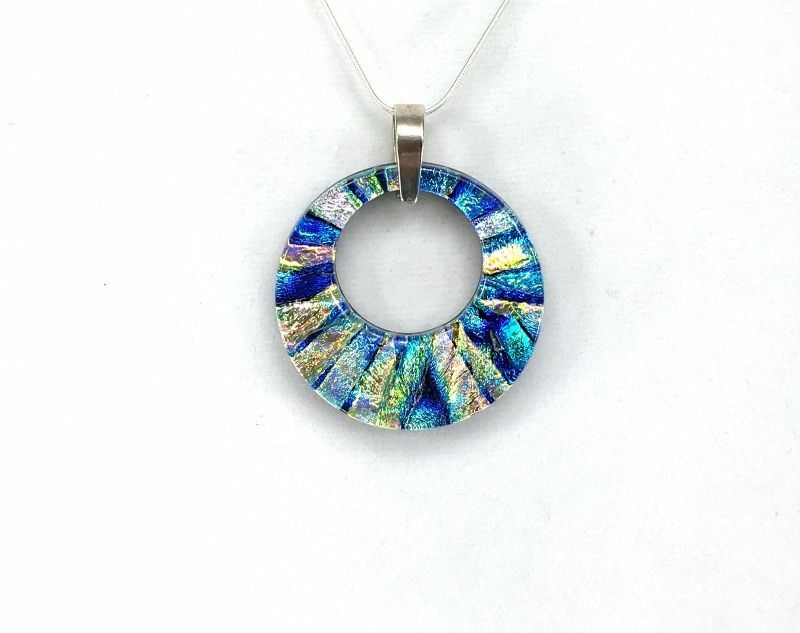 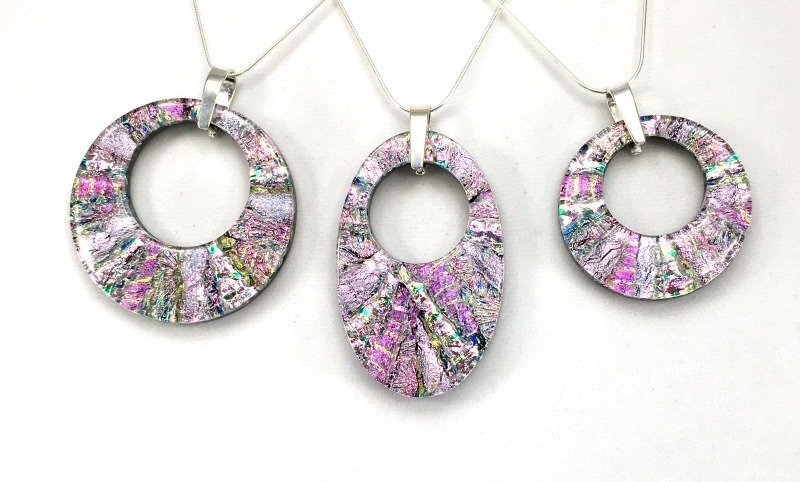 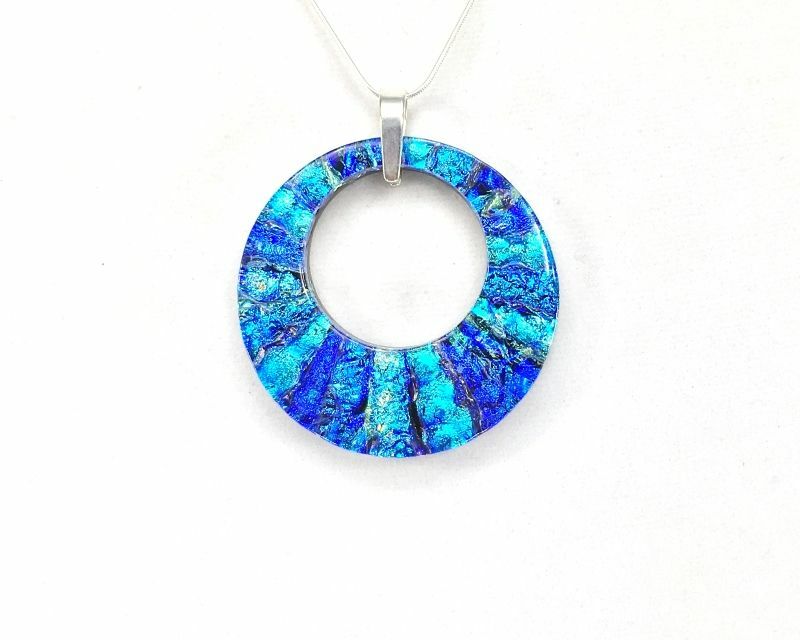 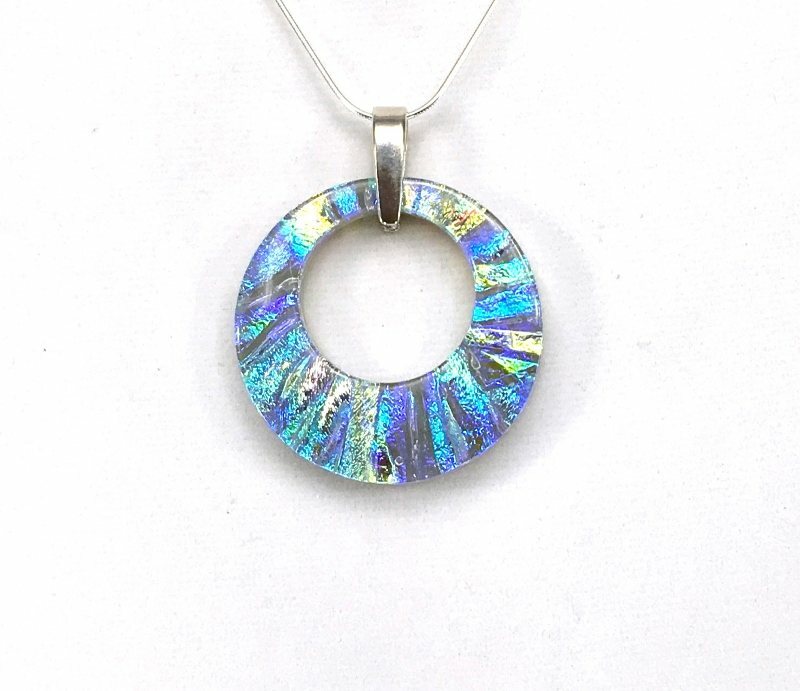 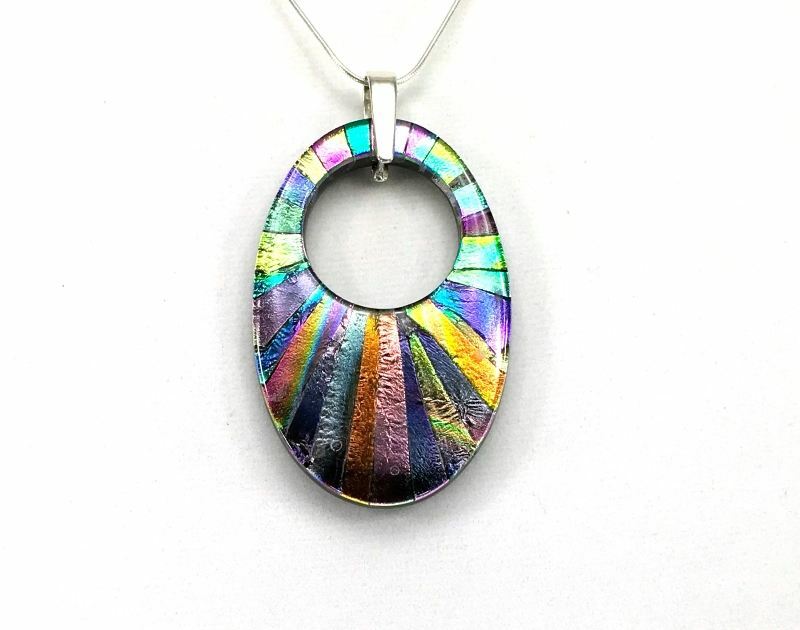 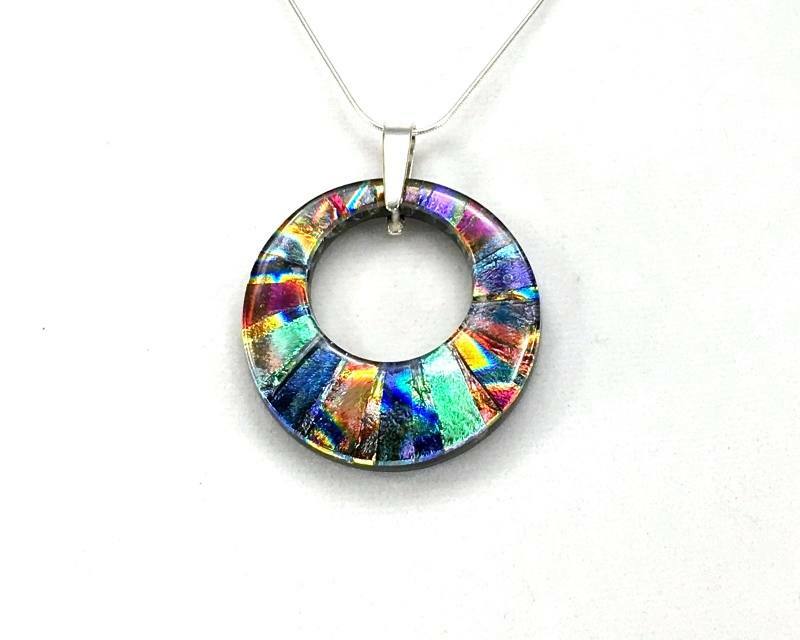 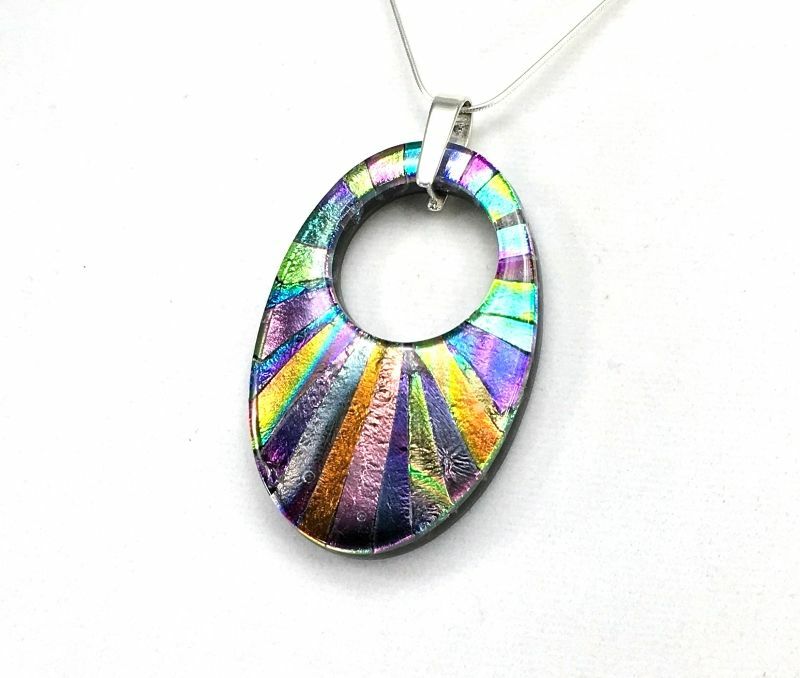 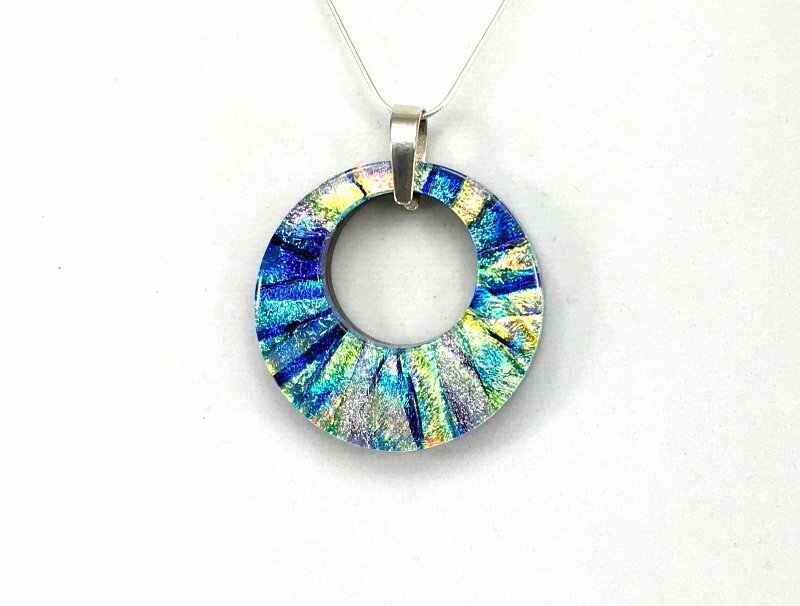 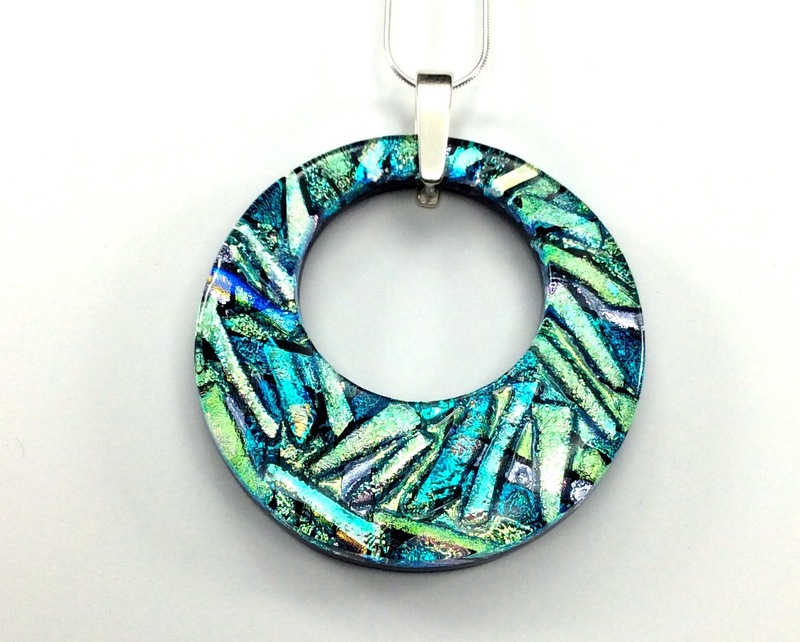 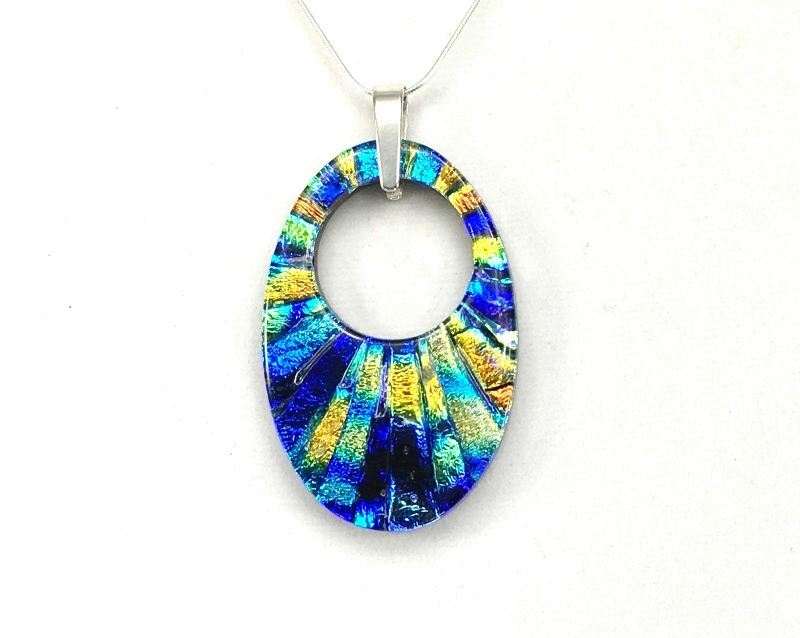 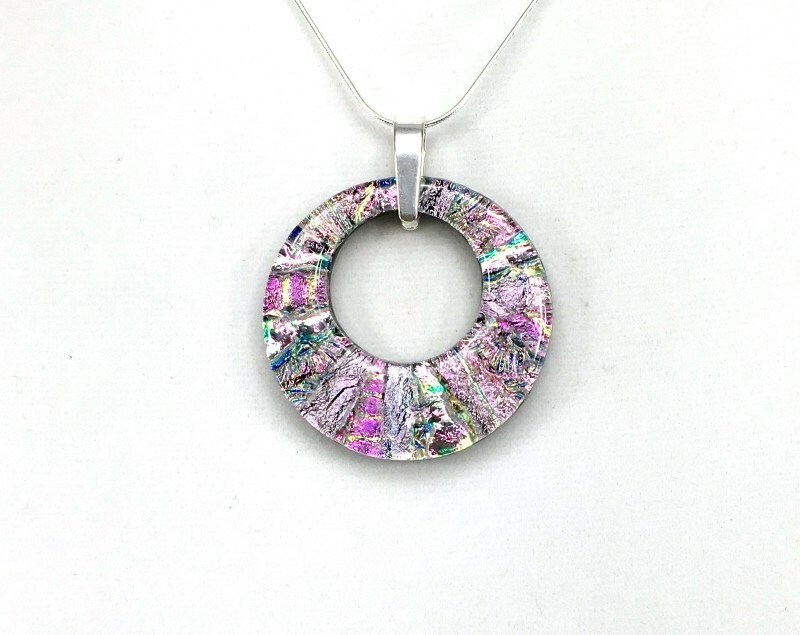 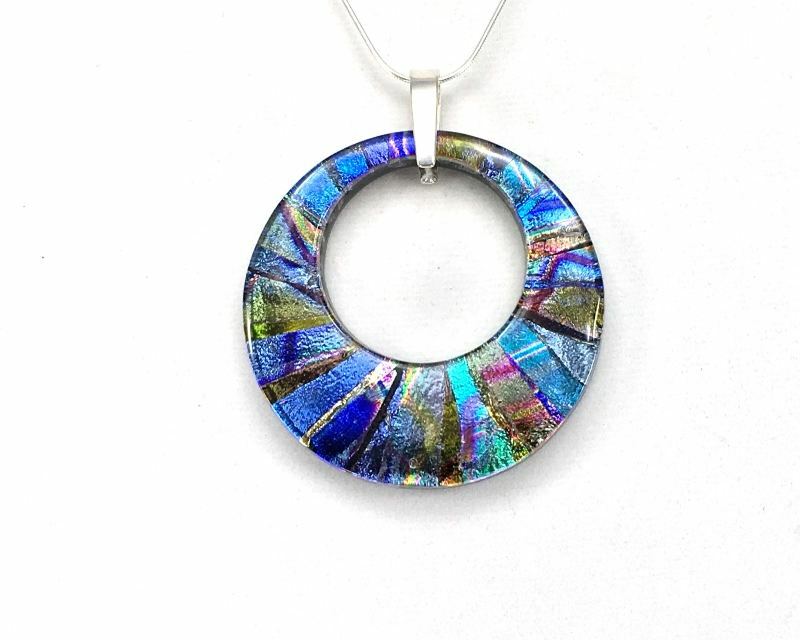 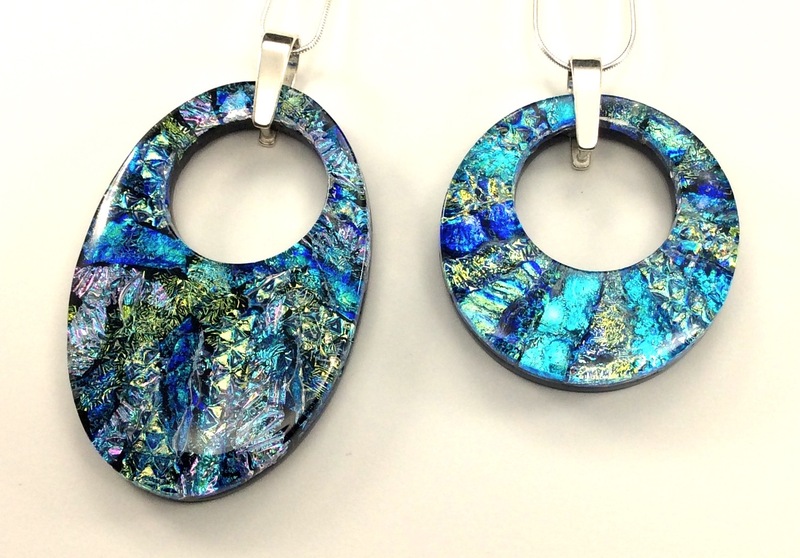 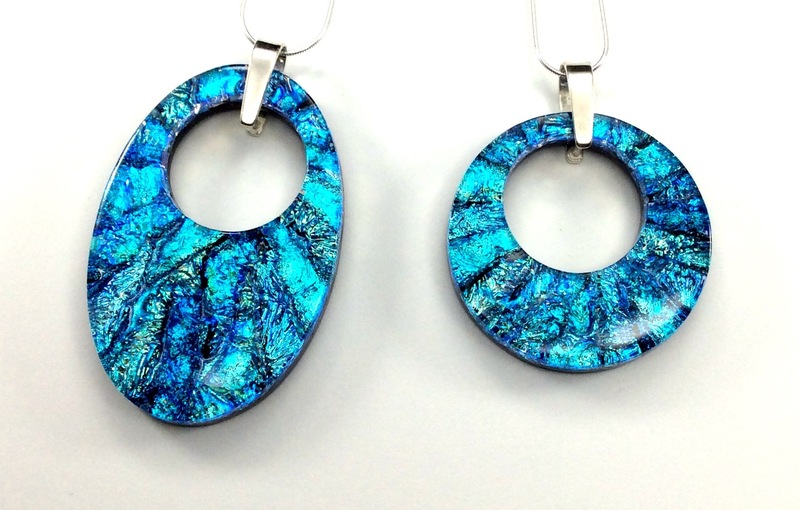 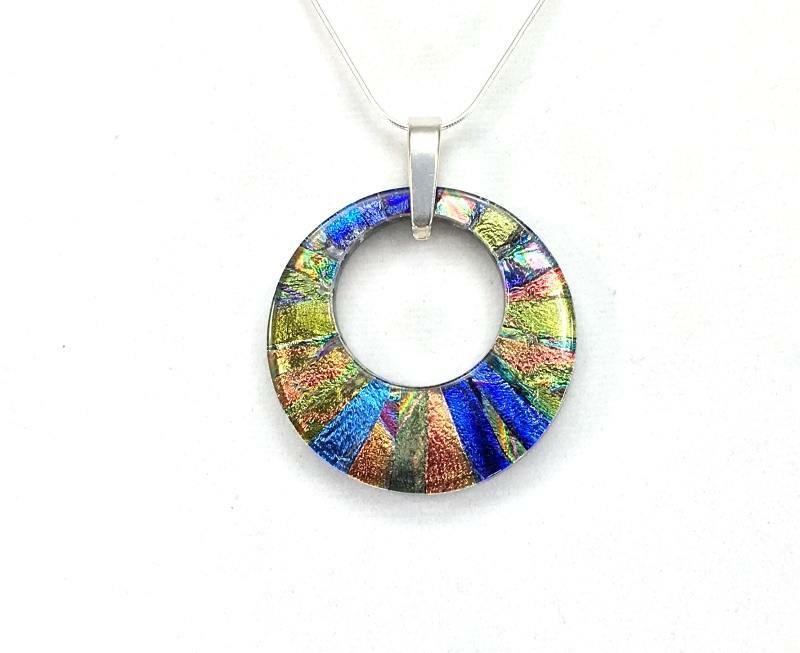 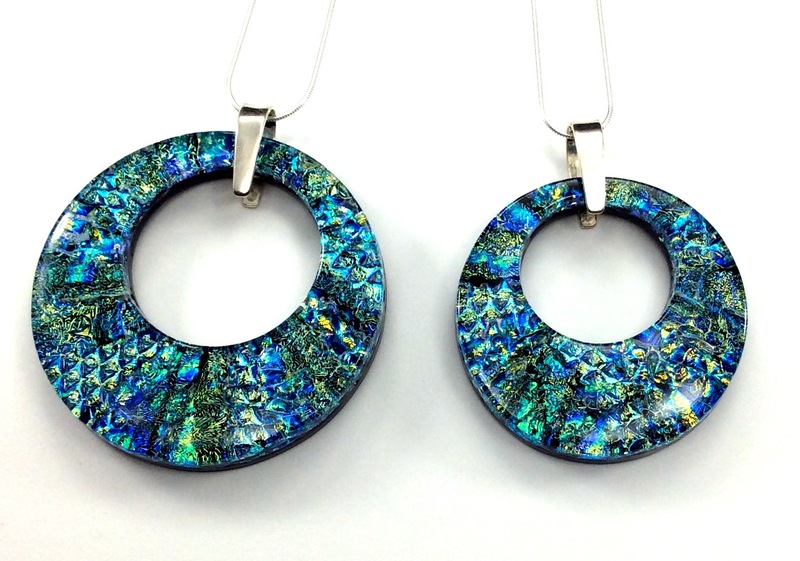 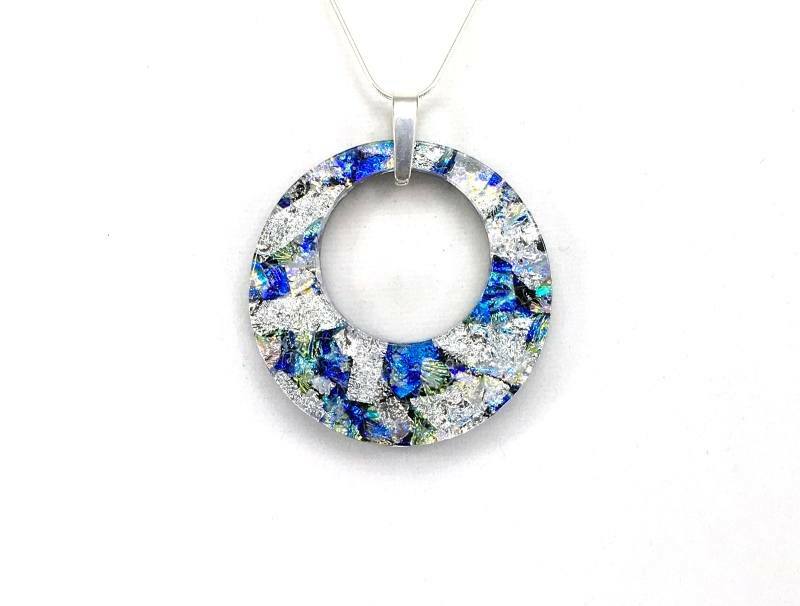 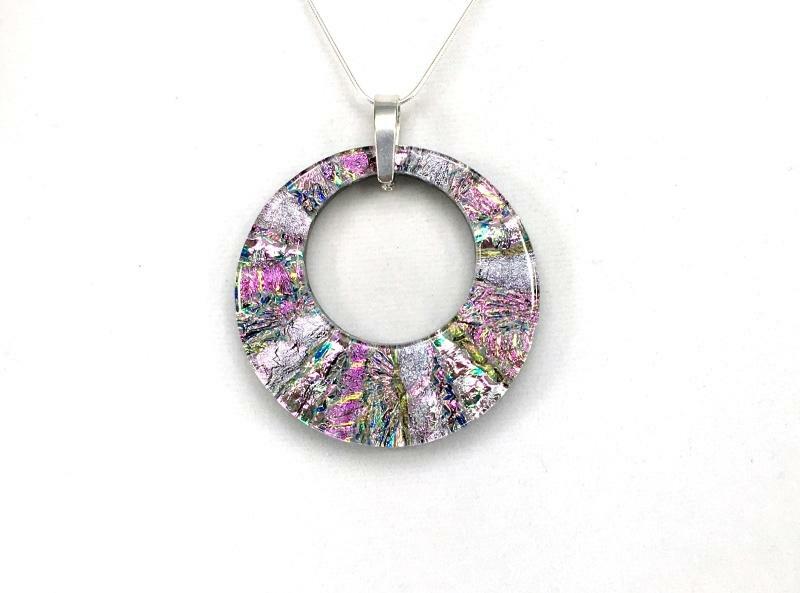 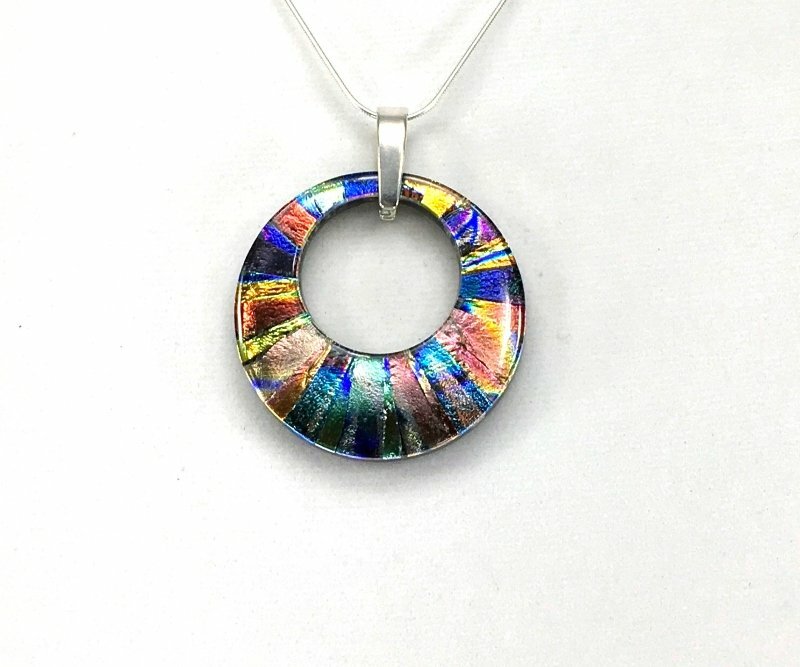 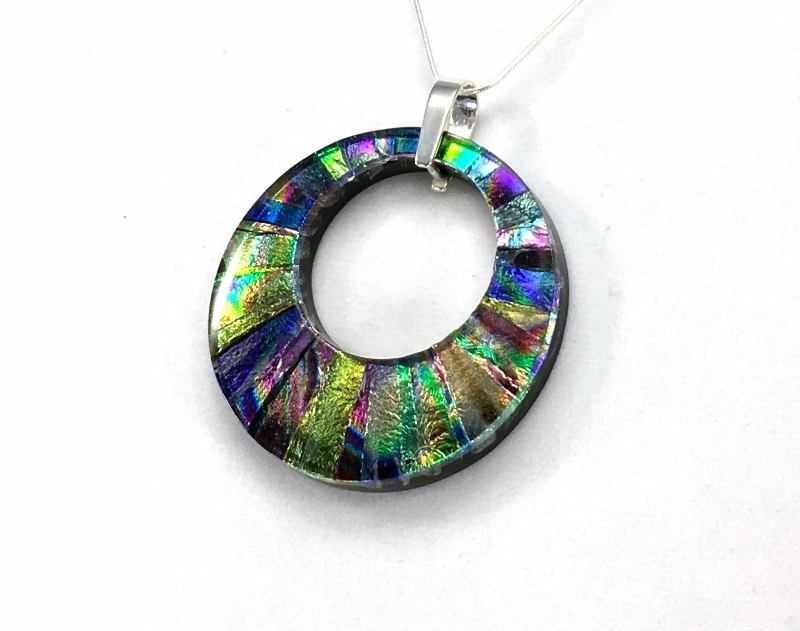 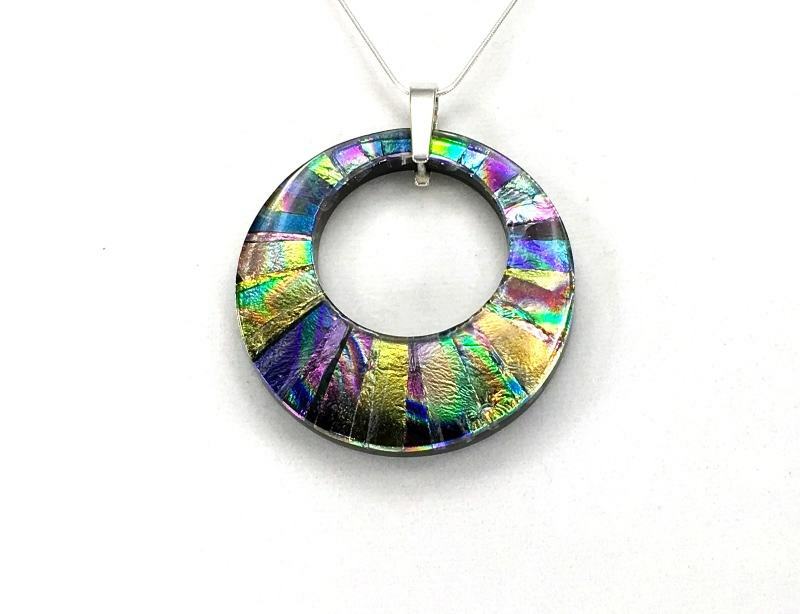 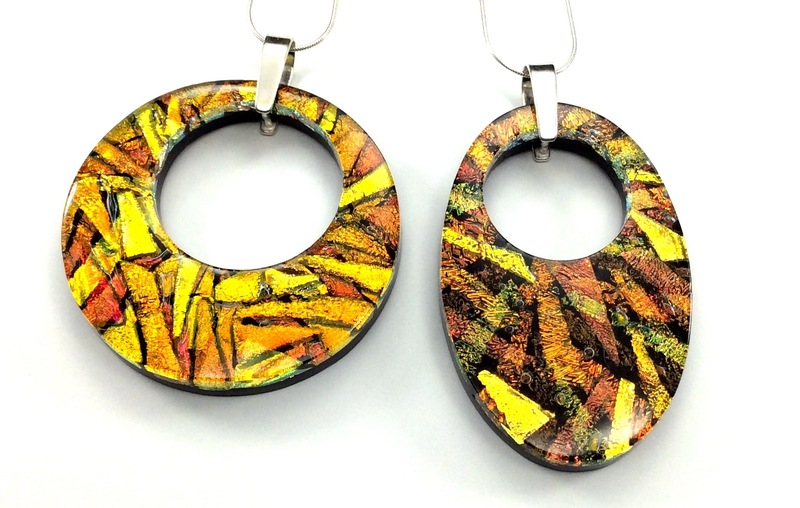 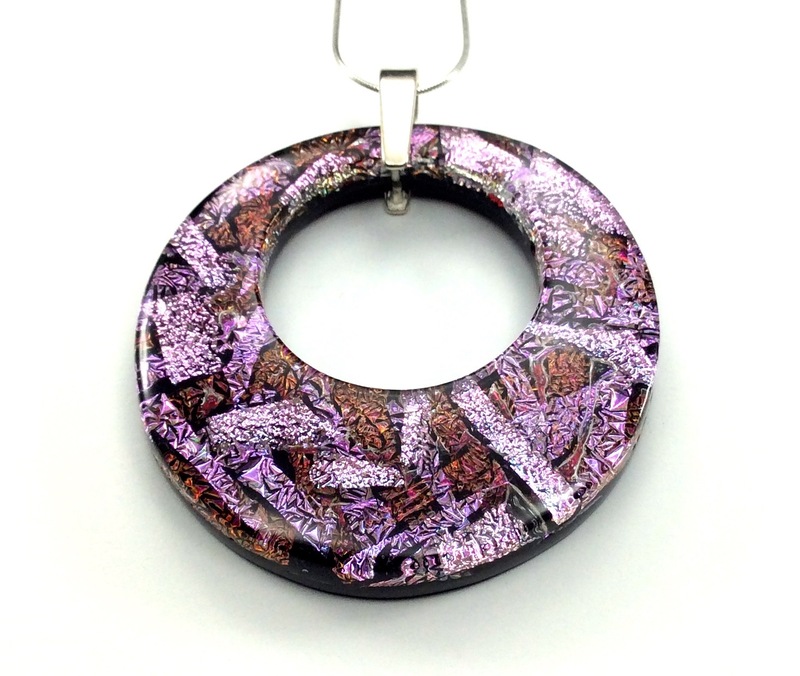 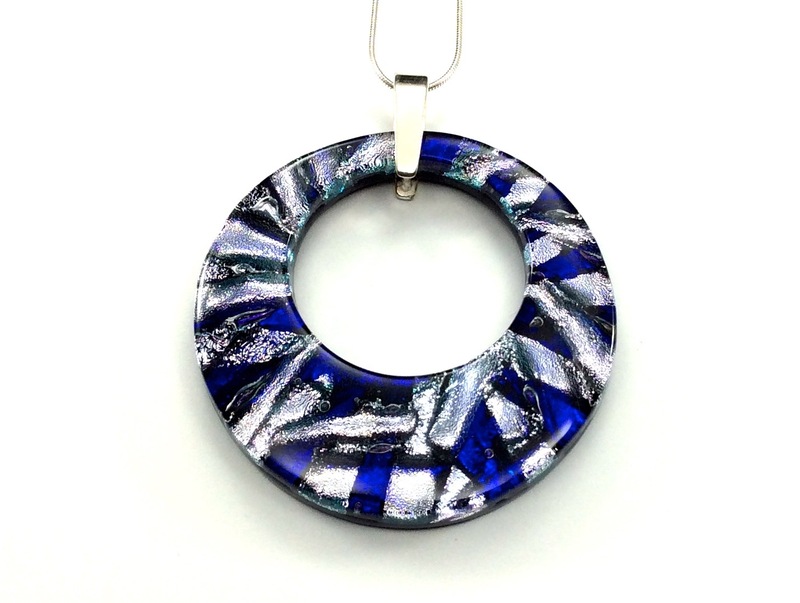 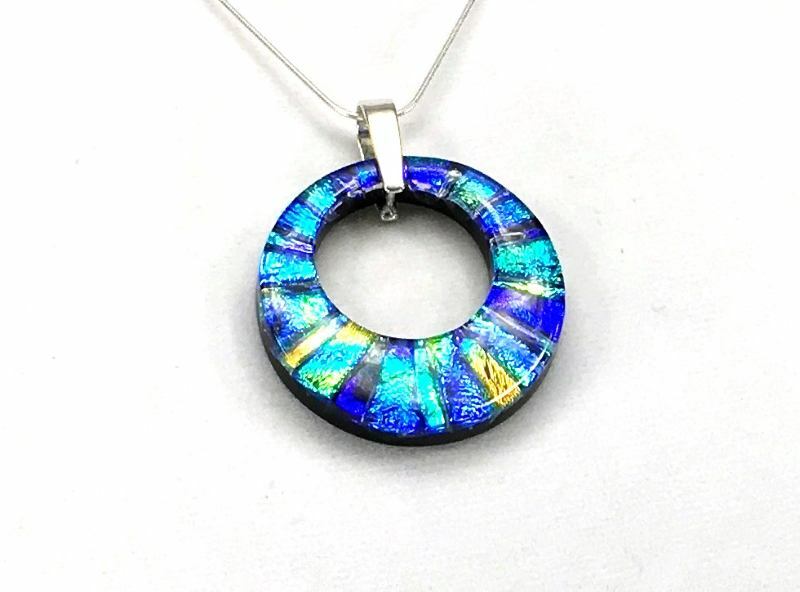 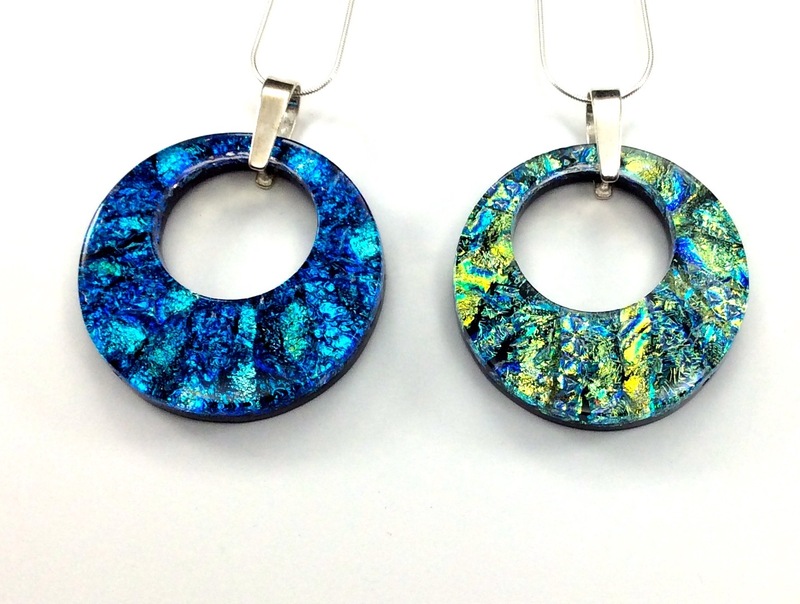 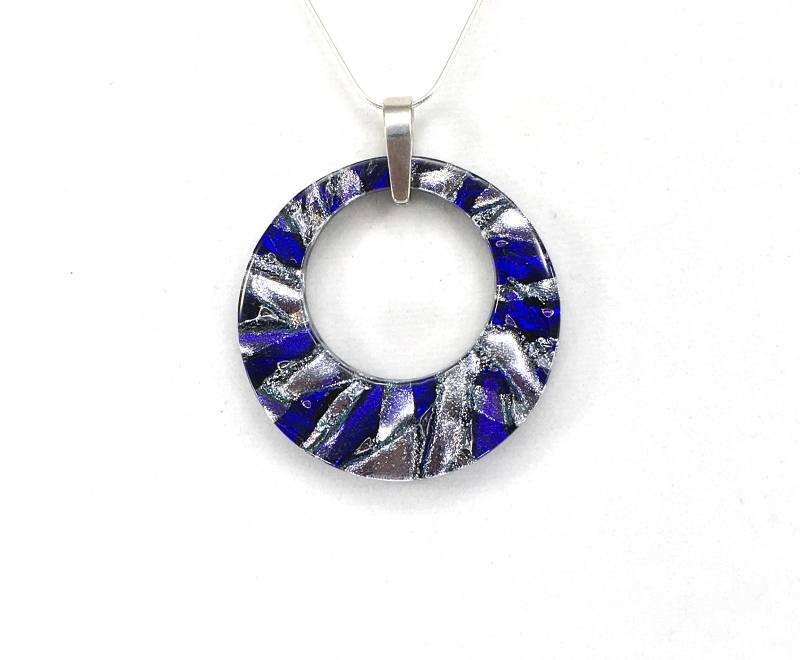 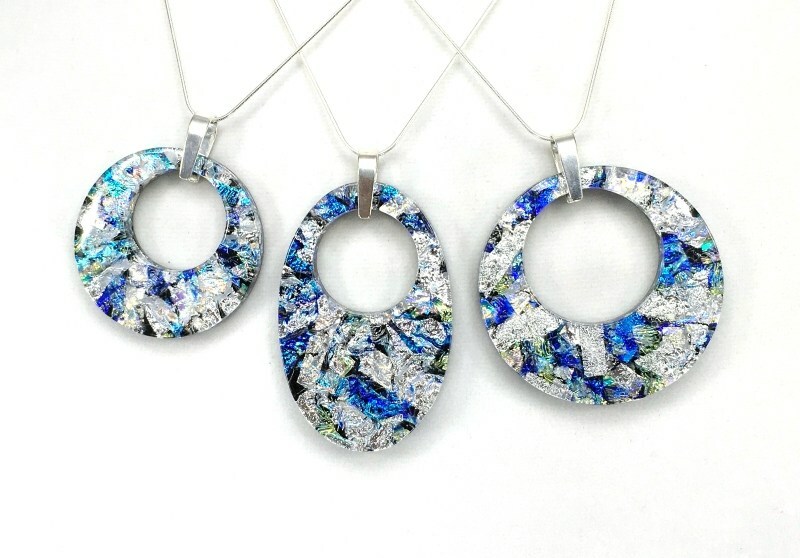 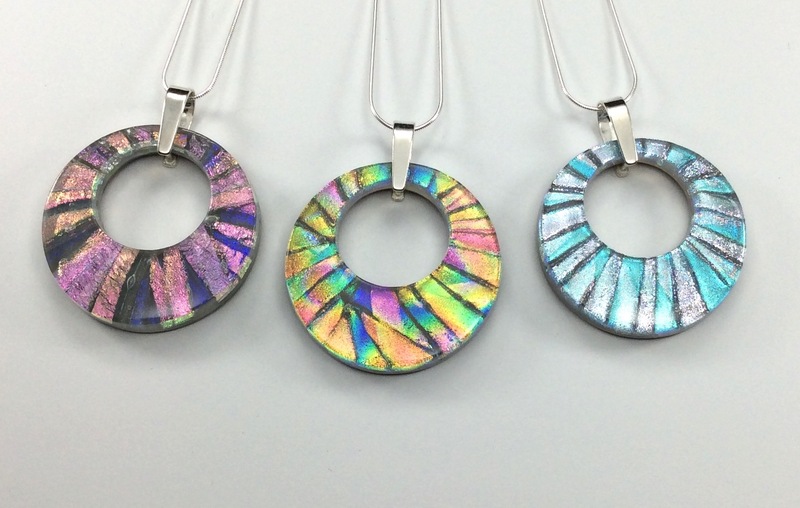 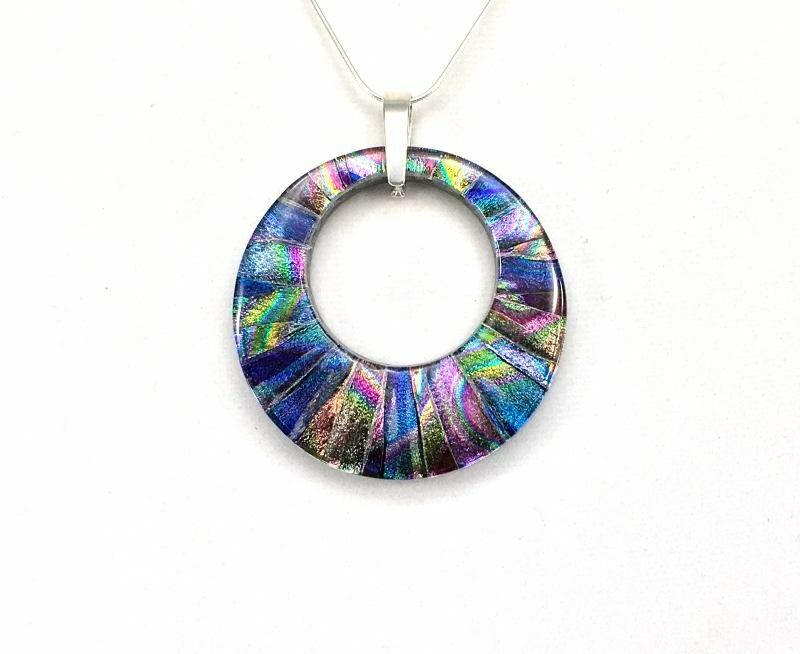 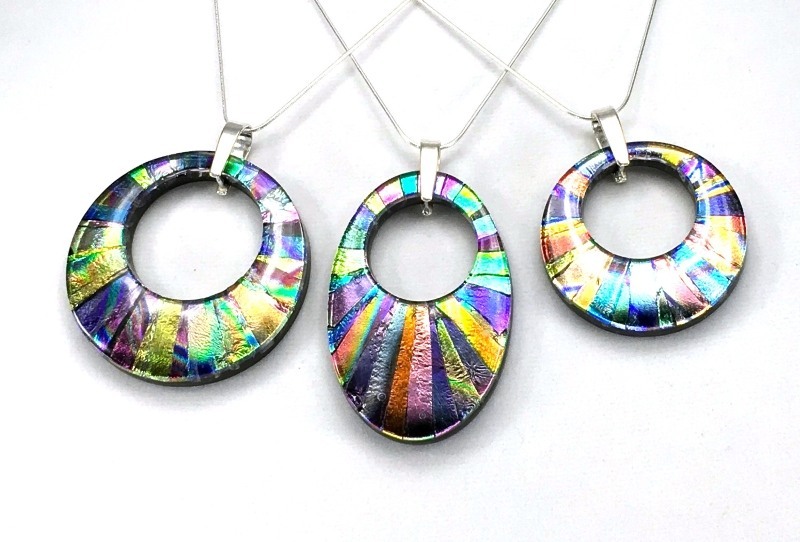 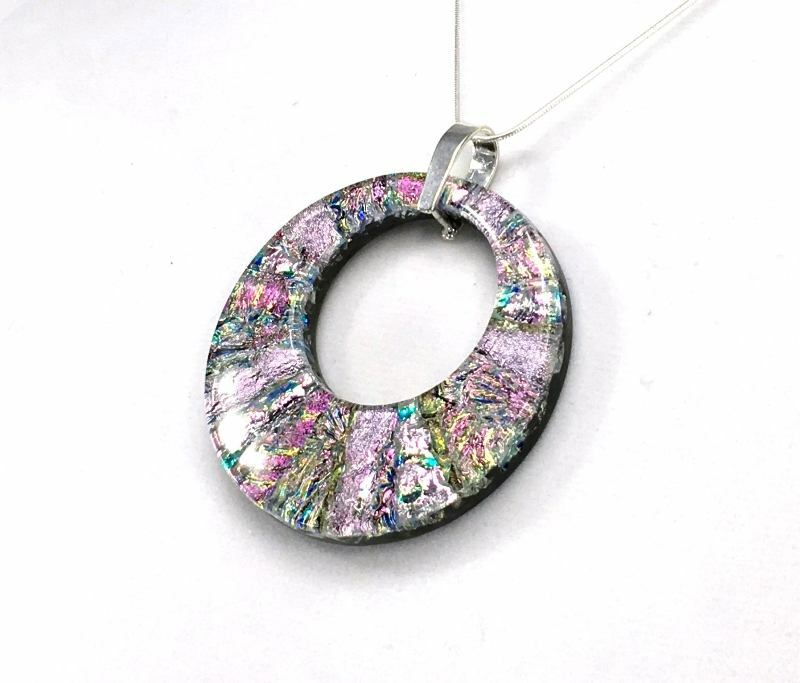 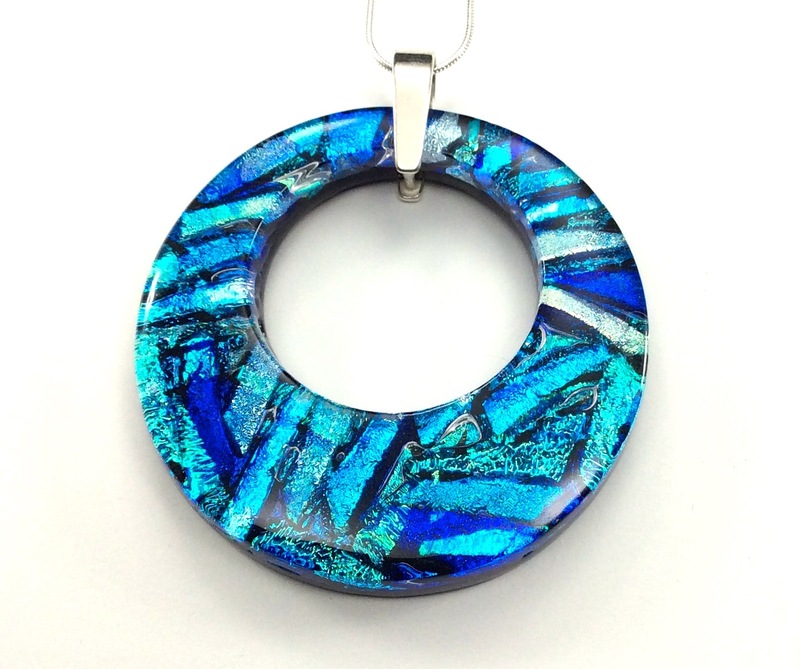 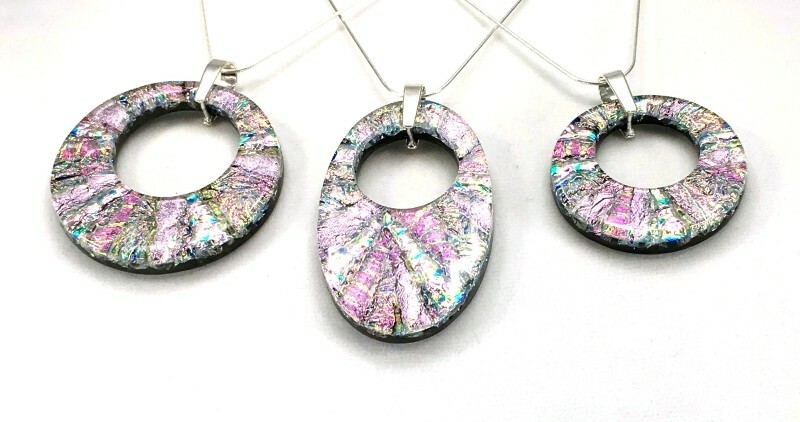 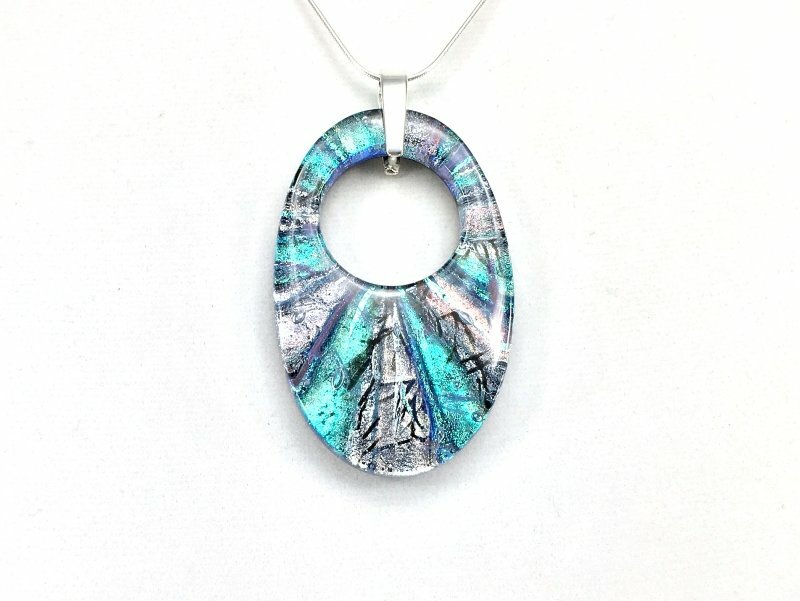 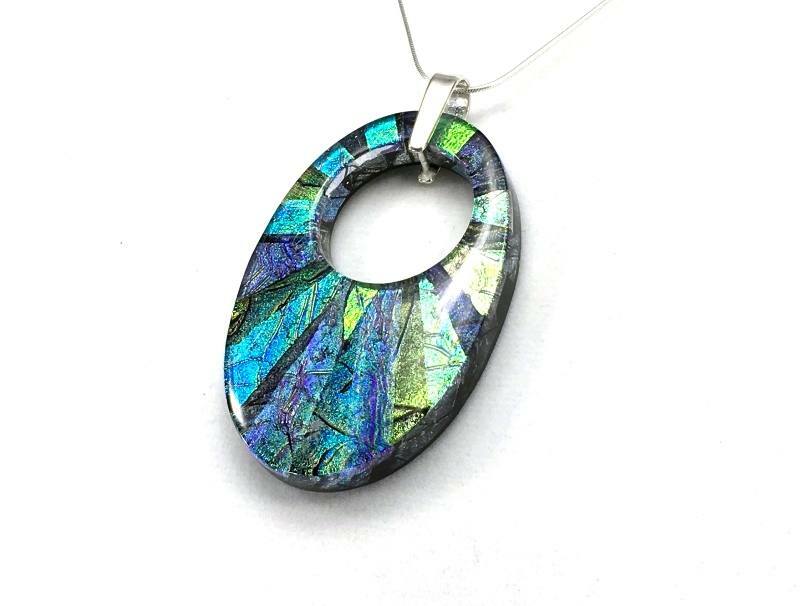 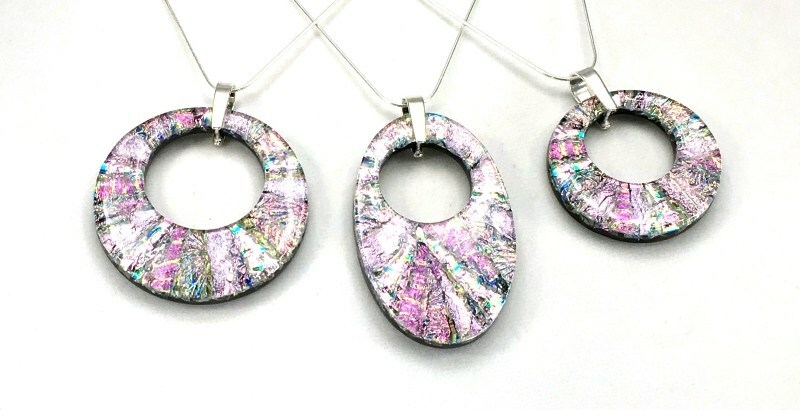 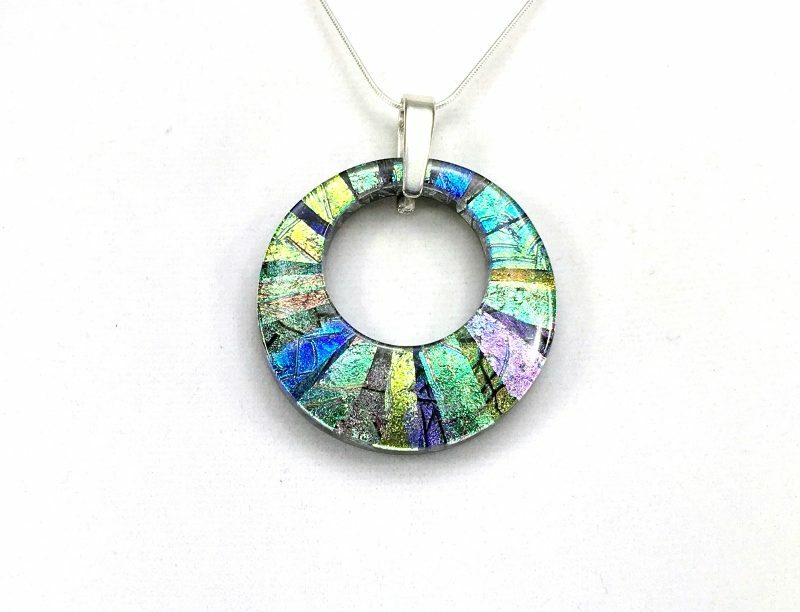 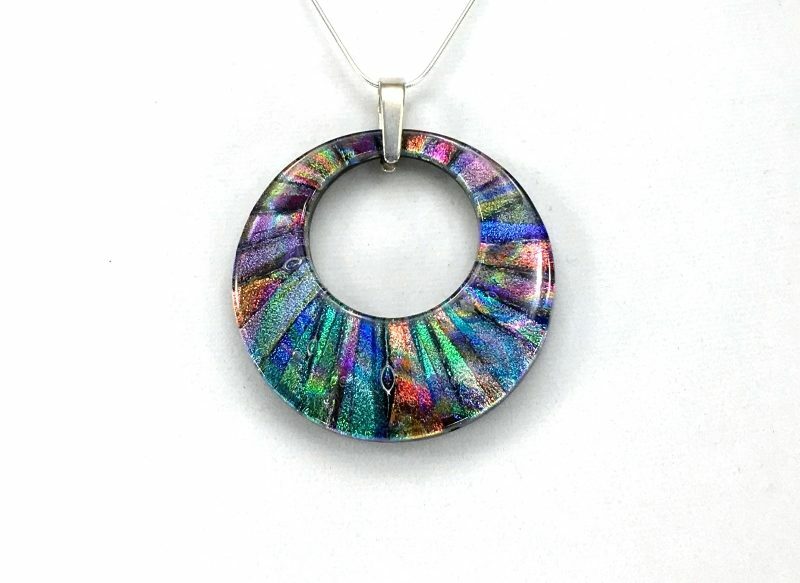 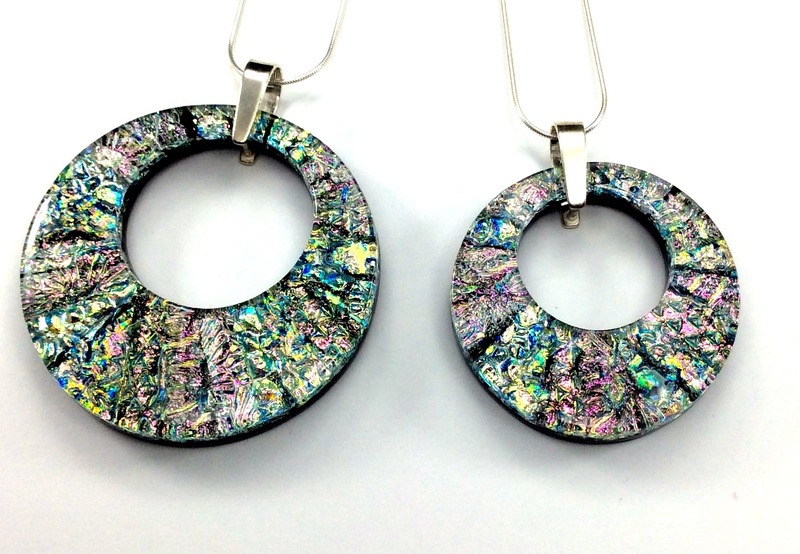 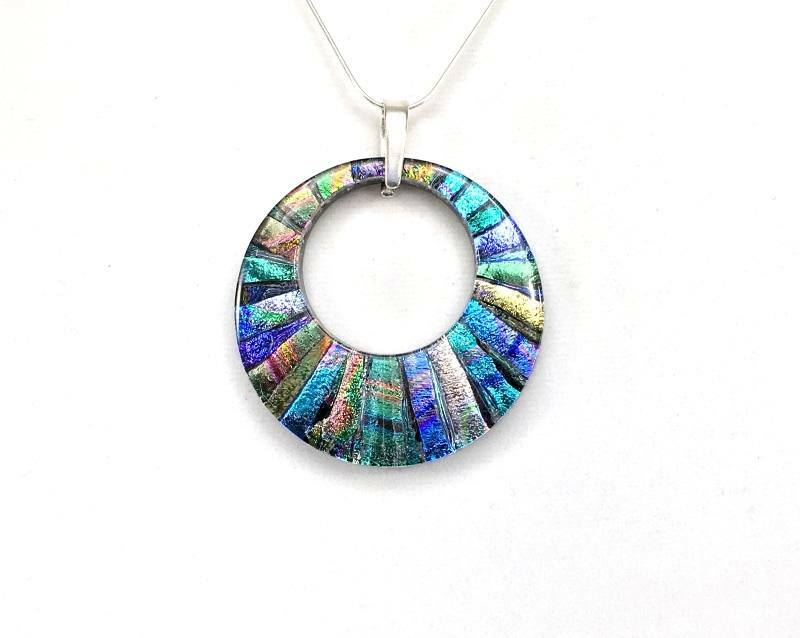 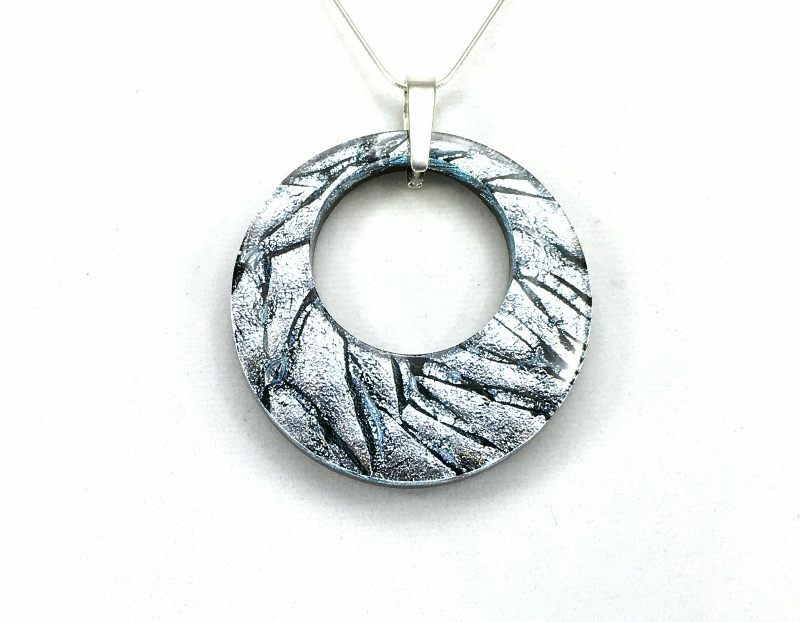 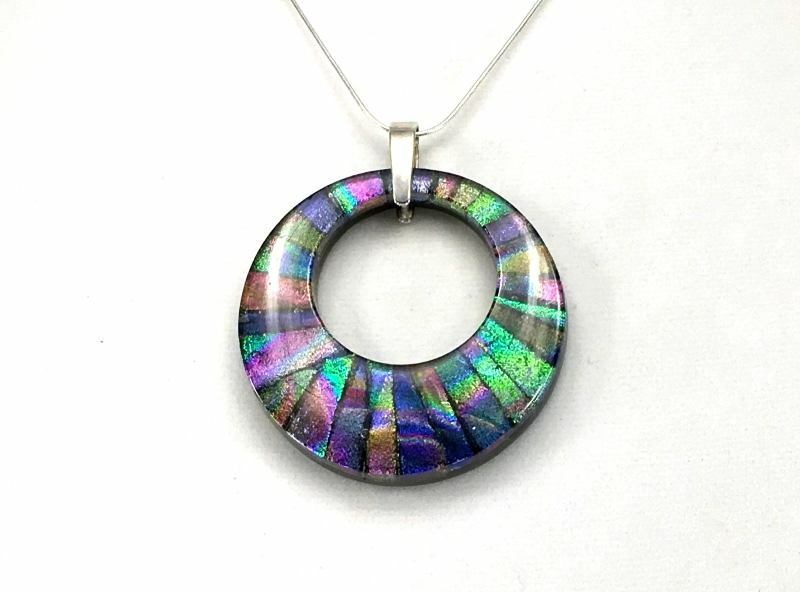 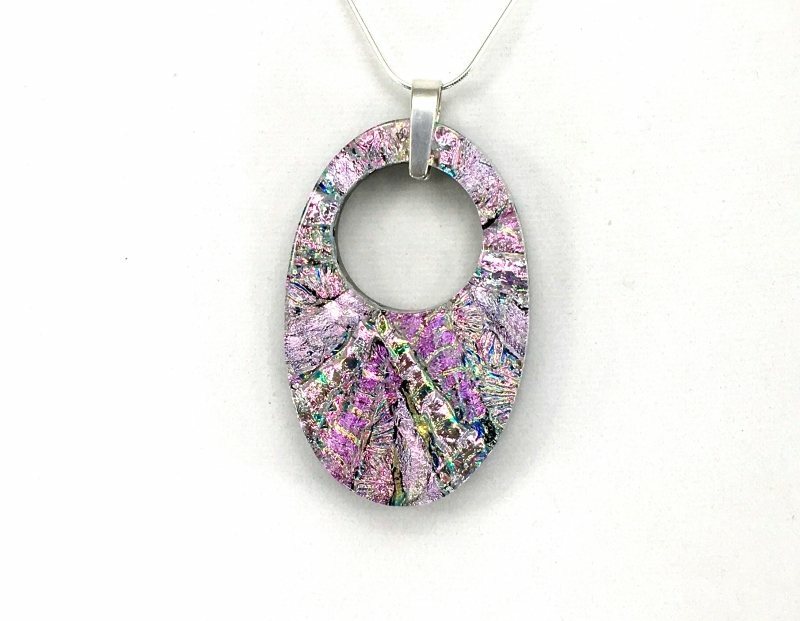 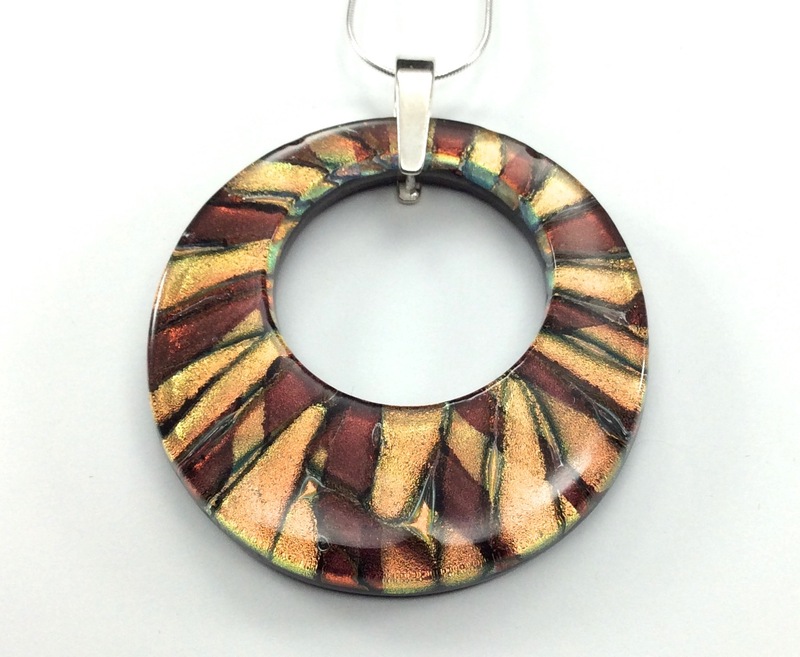 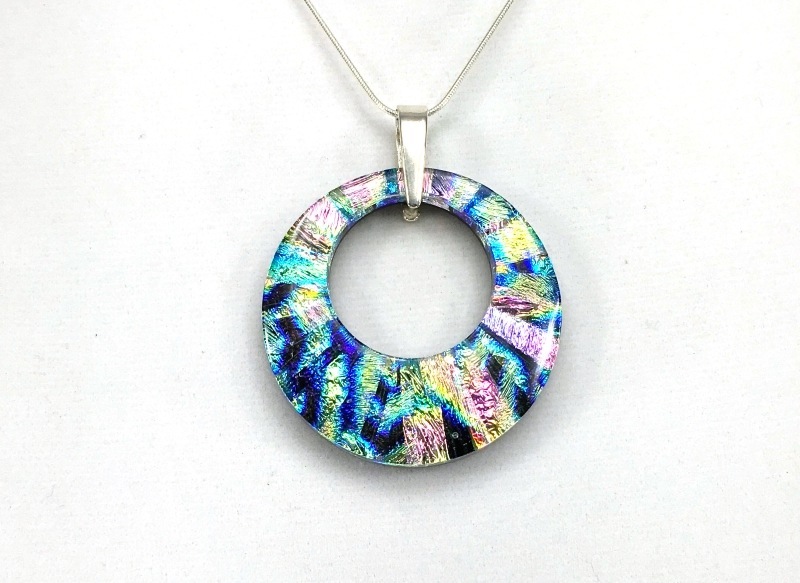 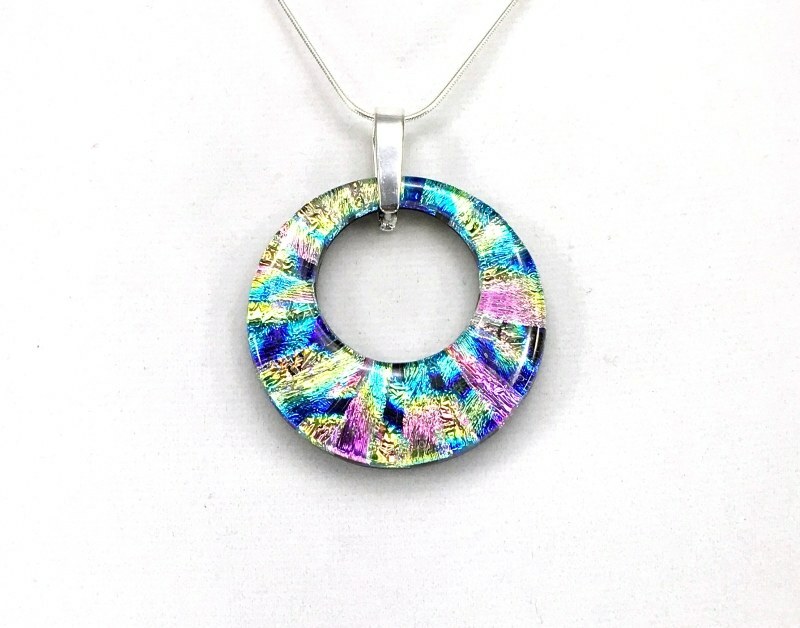 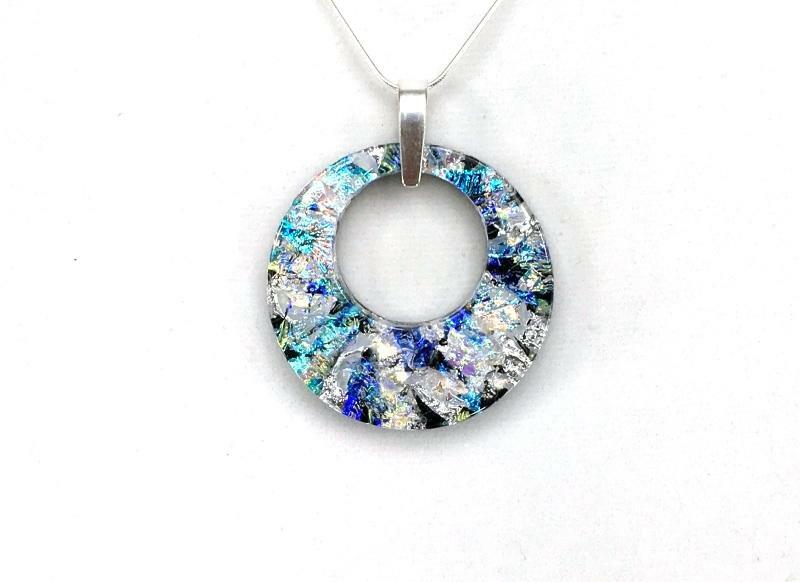 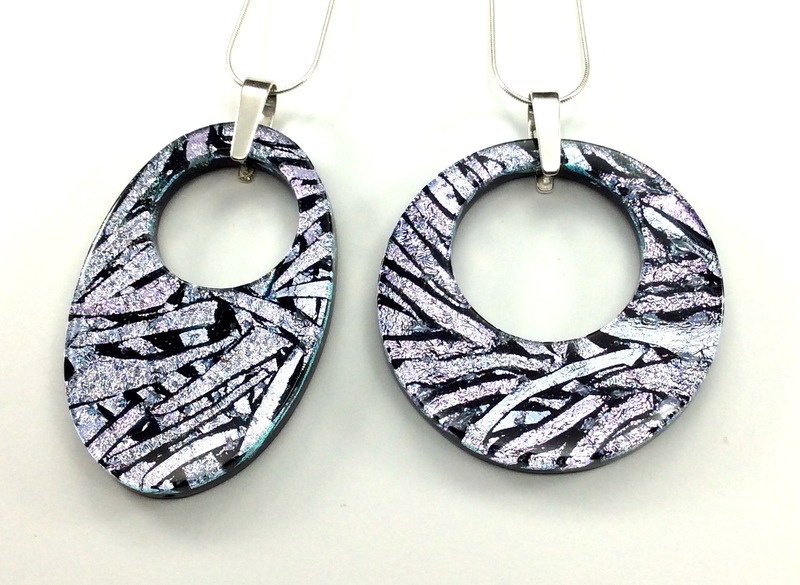 Oval Mosaic Donuts are also finished with a sterling silver bail and 20” sterling silver chain included.